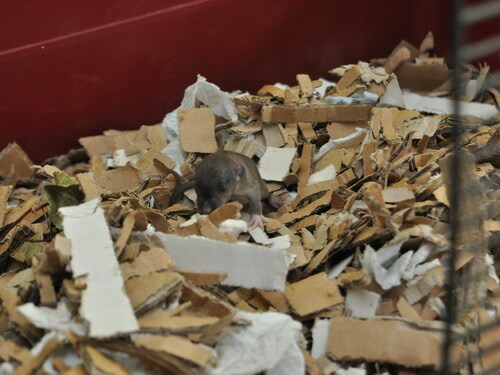 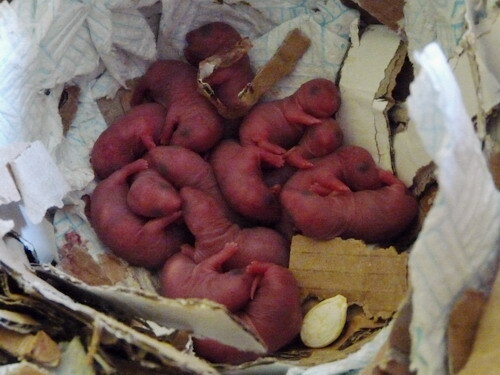 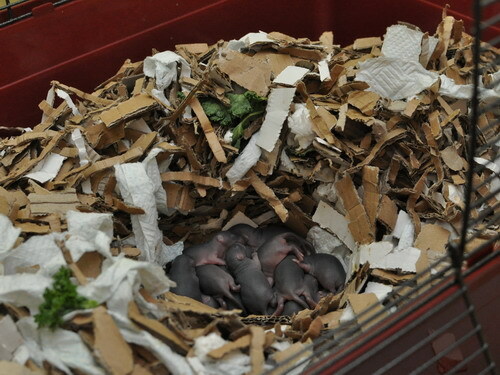 07/08/2013: 14 babies, day 22 of the gestation period. 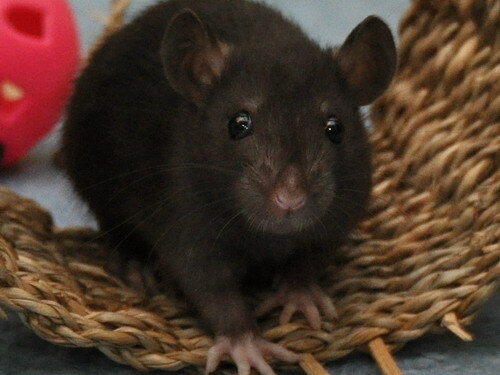 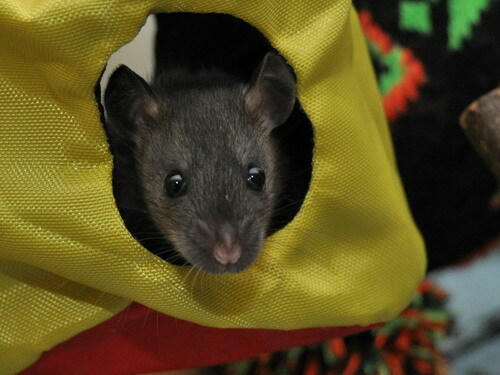 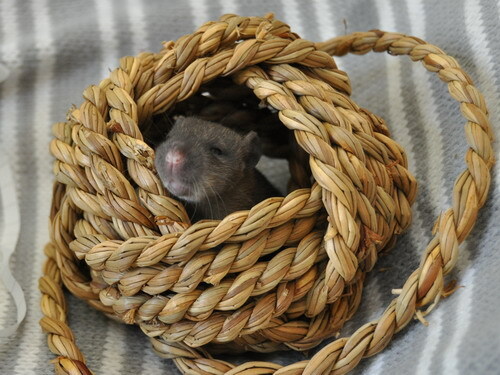 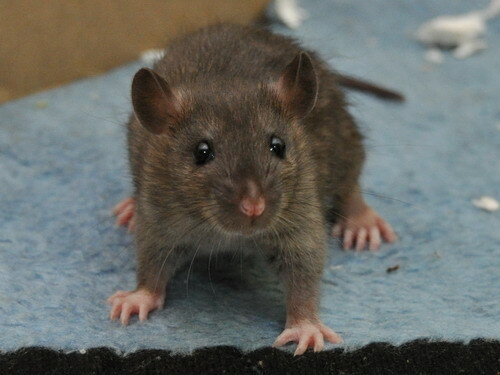 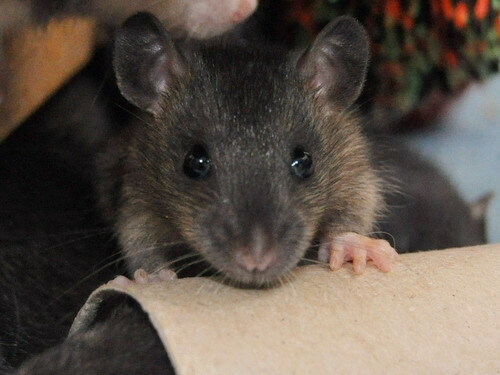 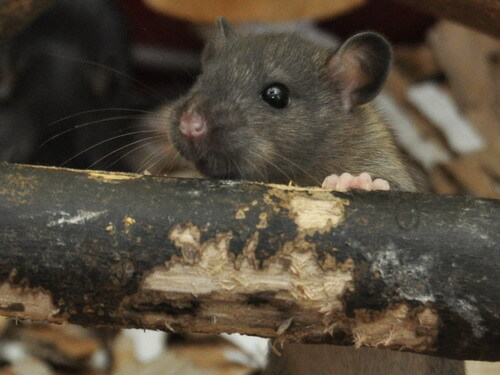 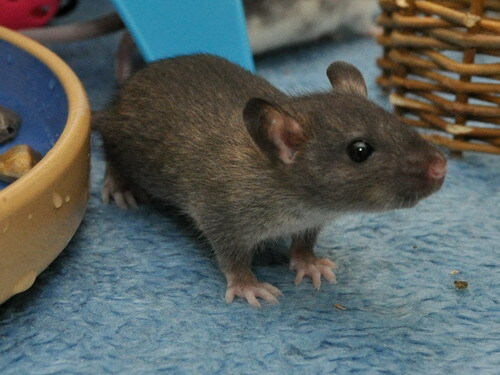 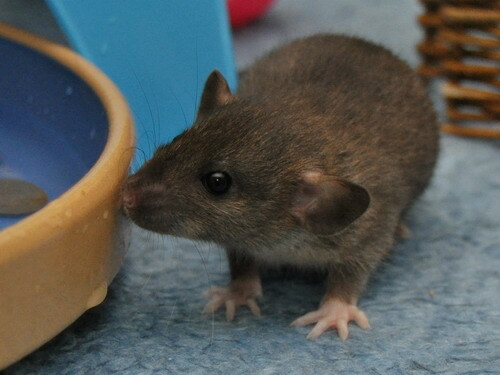 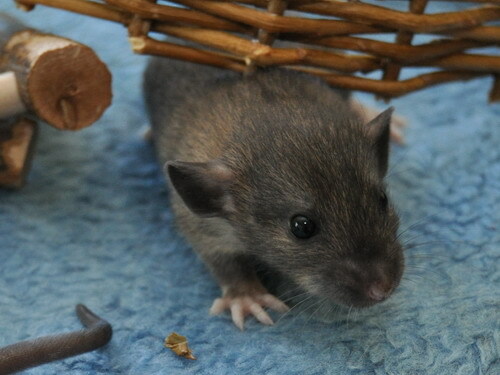 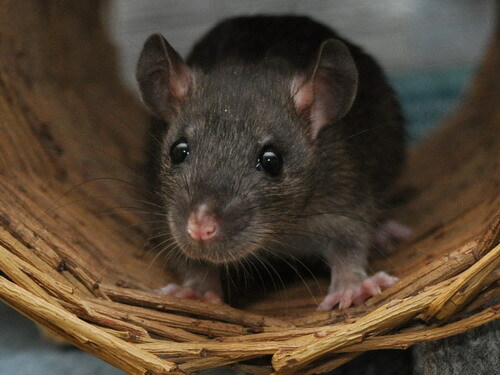 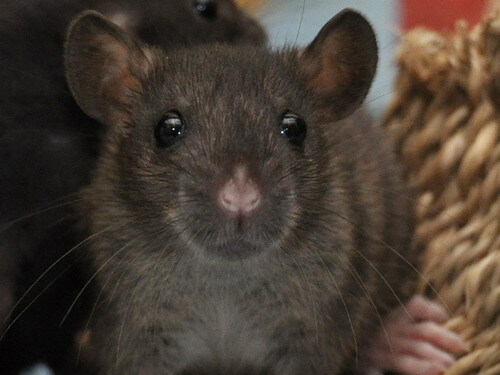 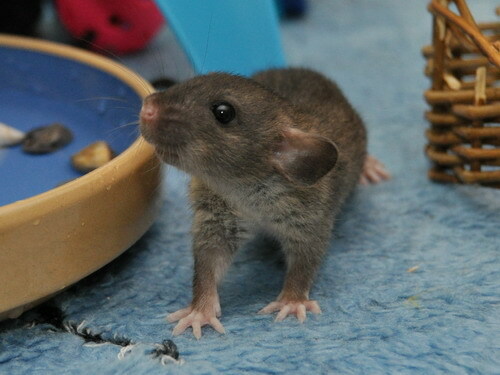 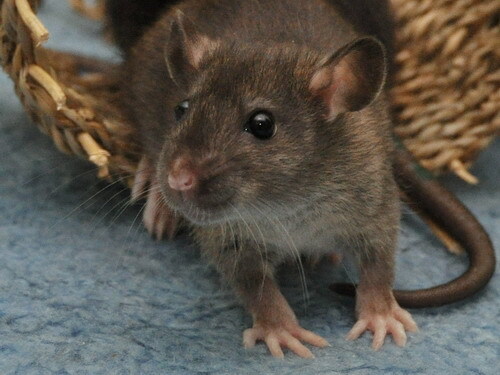 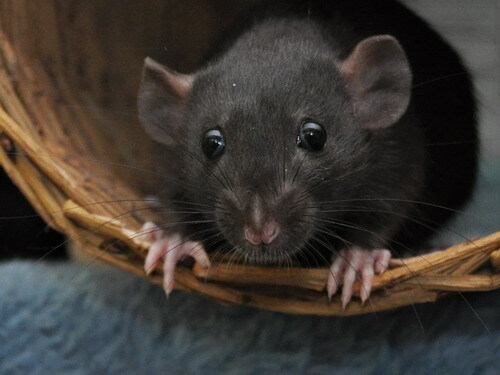 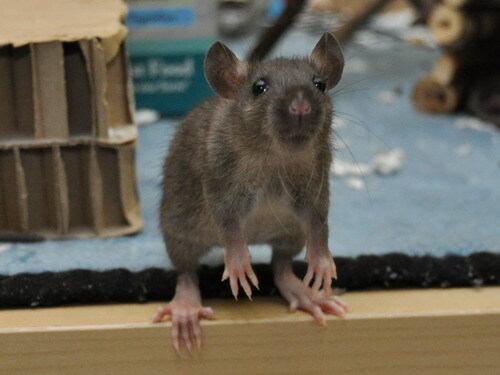 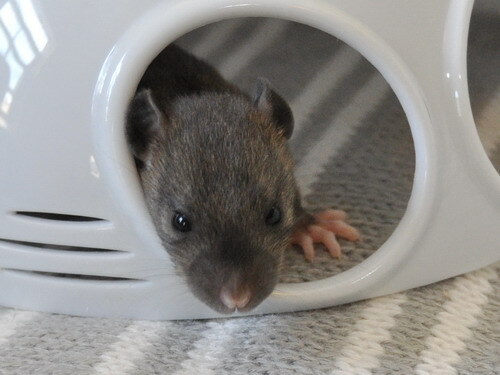 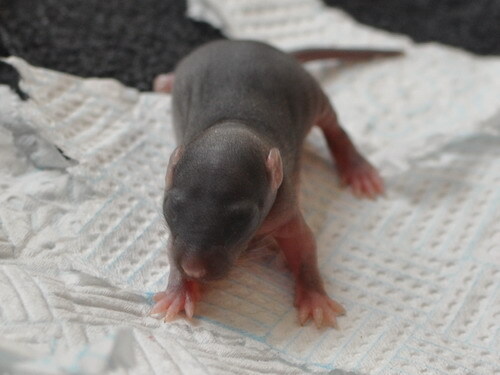 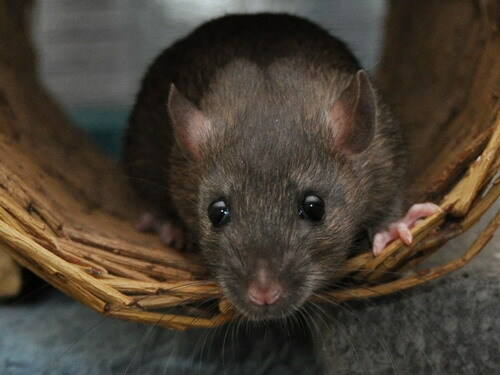 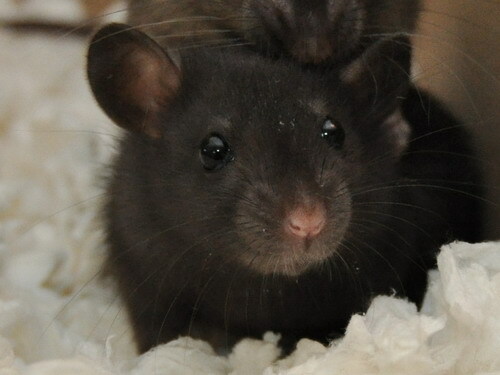 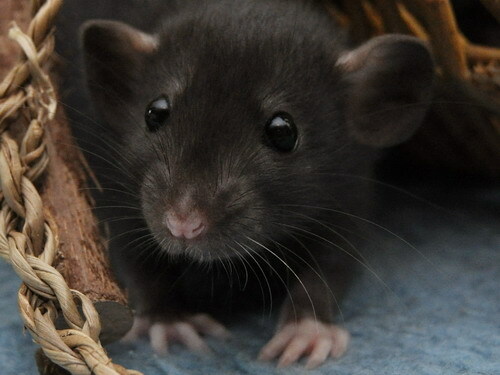 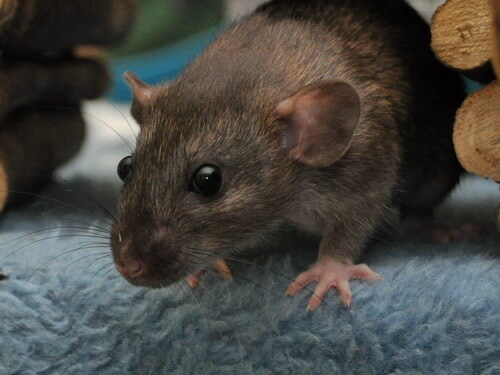 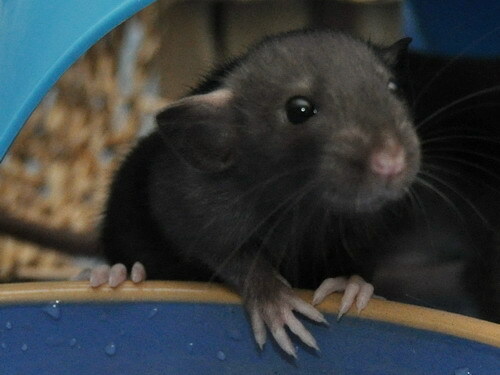 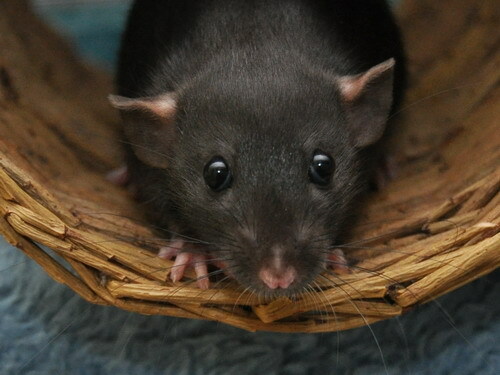 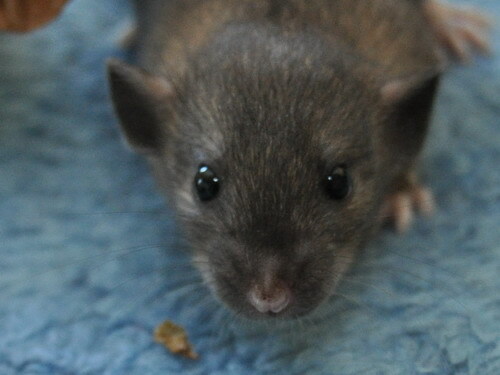 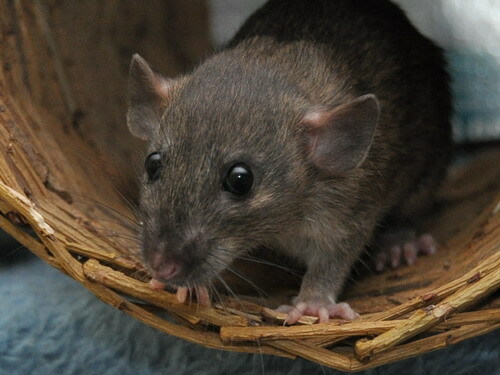 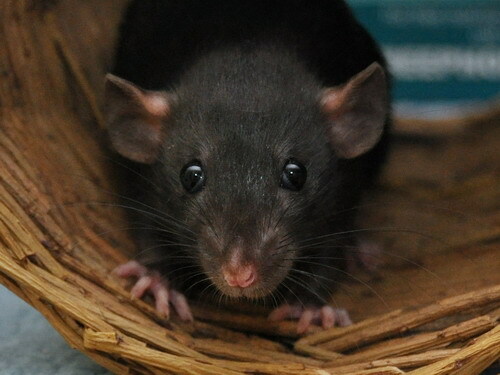 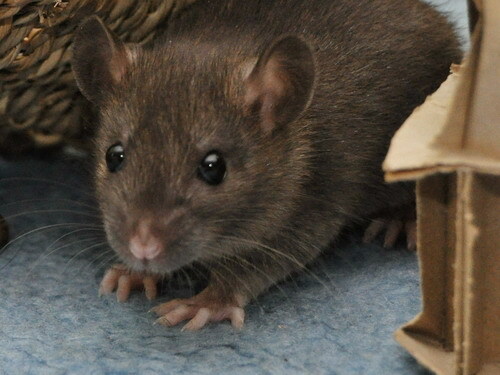 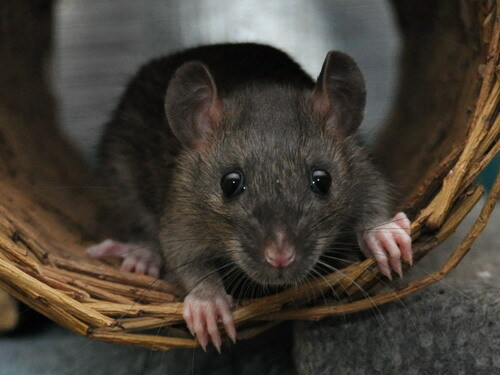 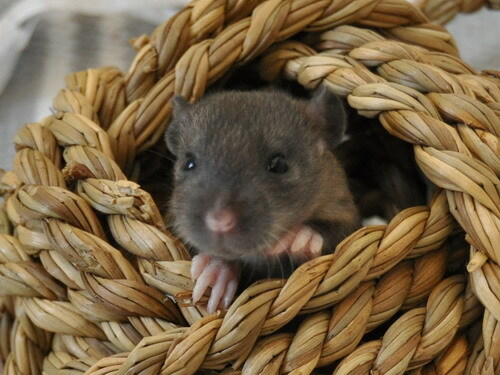 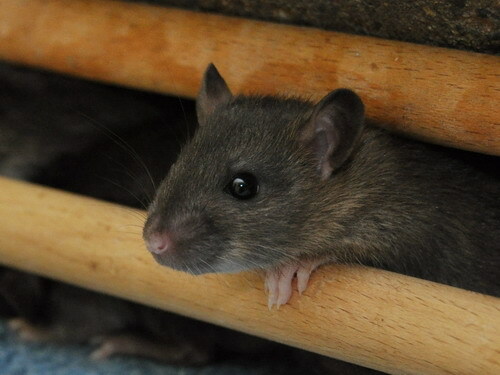 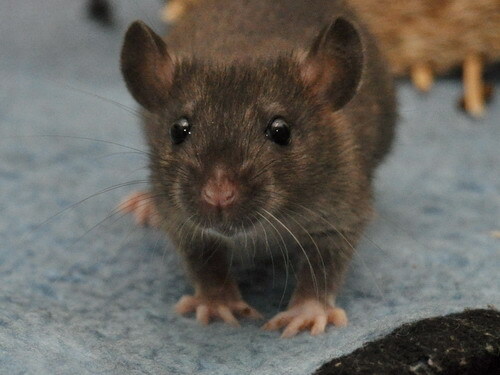 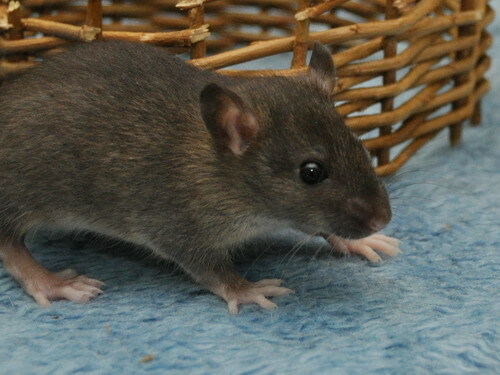 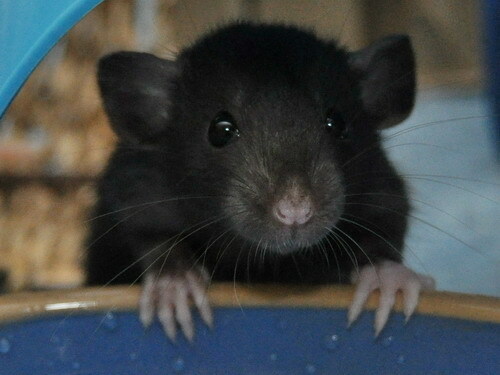 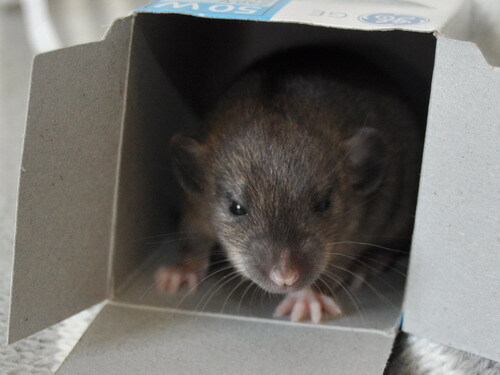 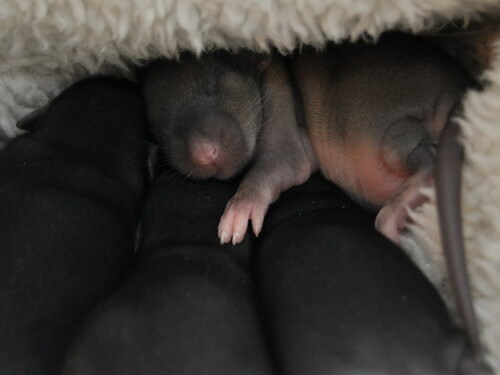 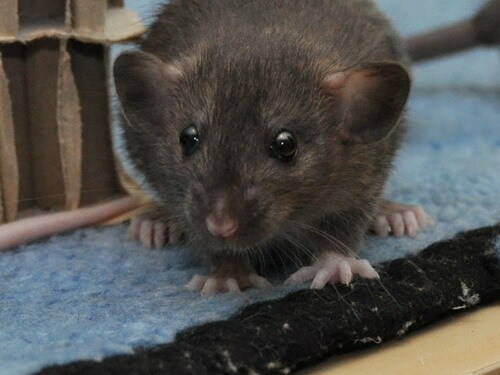 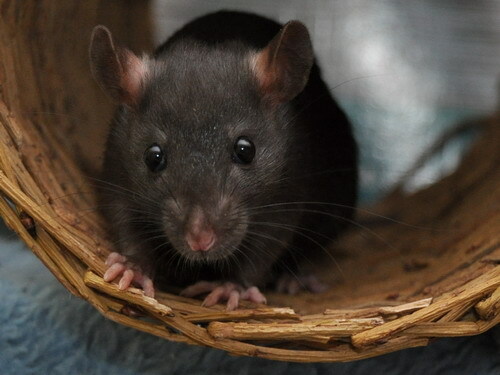 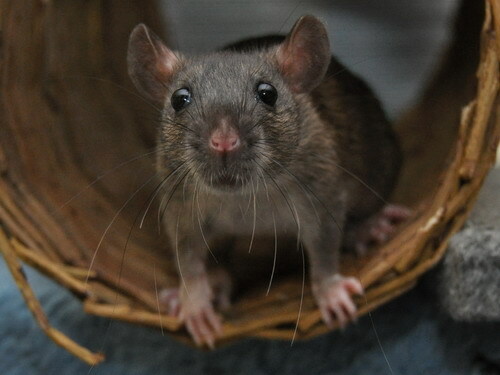 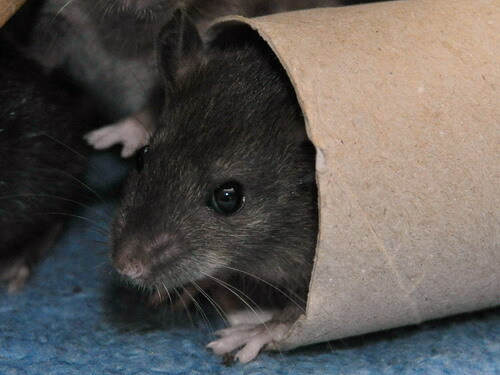 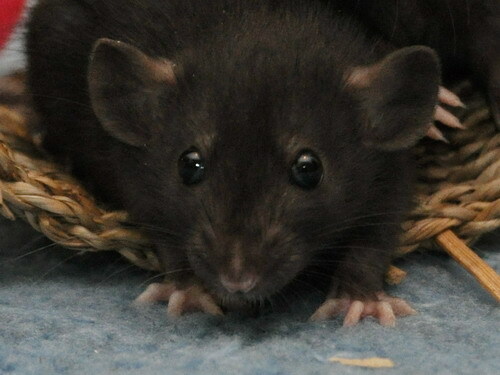 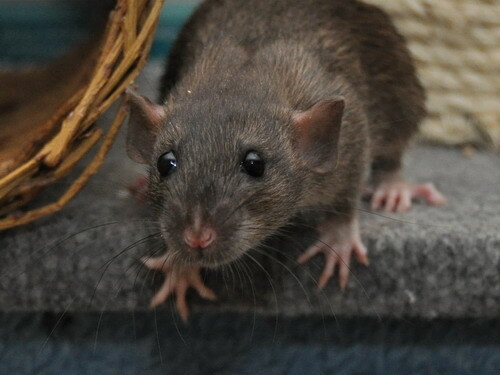 Notch (agouti) is a fantastic little being from the Monkeyshines x Blue litter, and I fell for her as a very young kitten because of her engaging personality - she loves to climb and tunnel, is super active, investigative, agile, friendly and curious, and very fun! 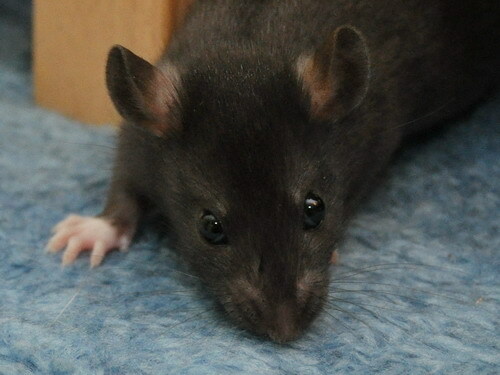 Cake is a thoroughly lovely and engaging black dumbo tabi line buck who is in nice condition for his 22 months. 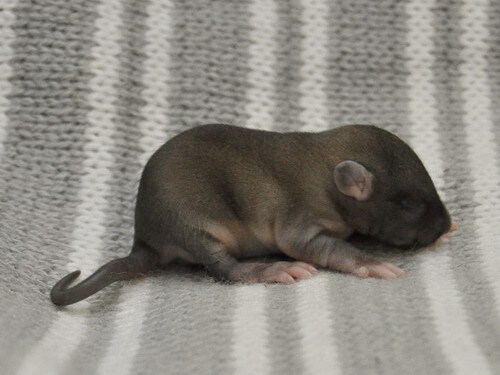 He was mated to my Puck a few months ago but her litter sadly failed due to birthing complications, so I was very excited to get another chance at babies as he is one of my all-time favourite bucks. 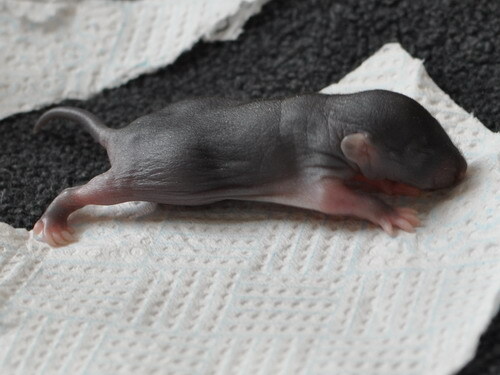 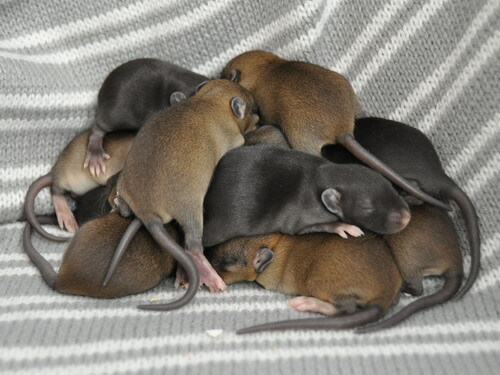 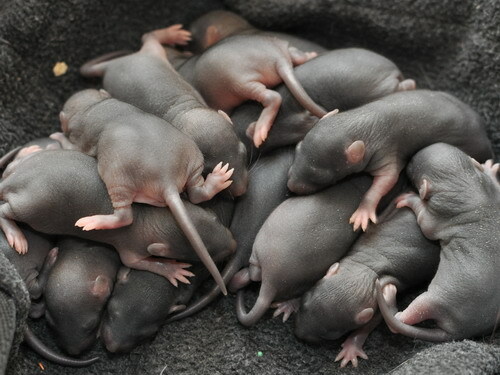 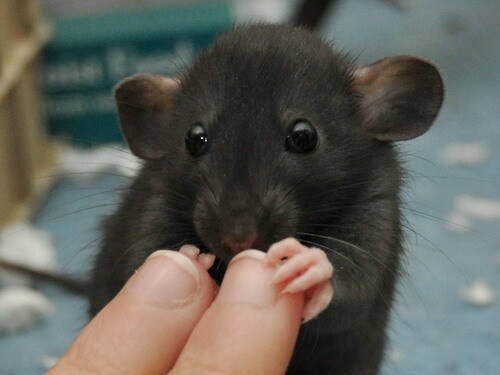 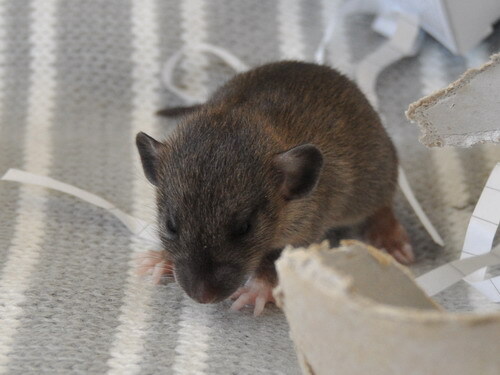 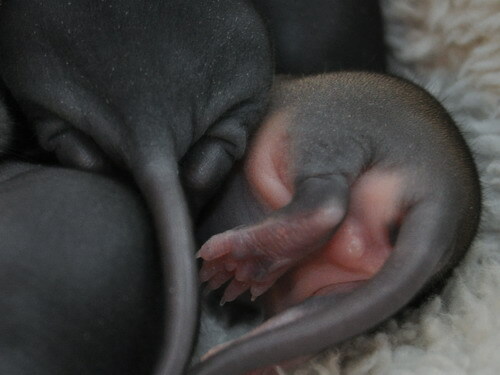 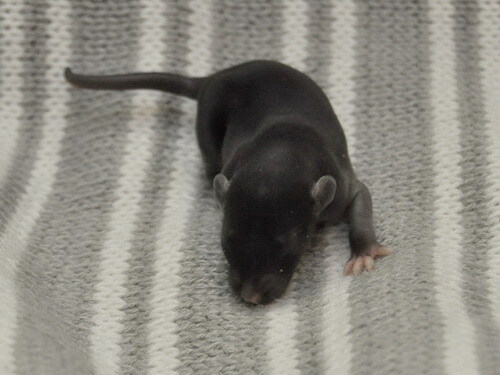 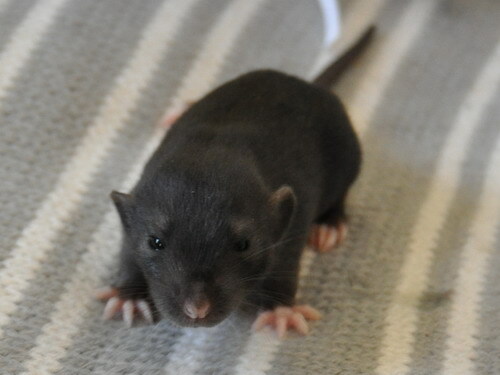 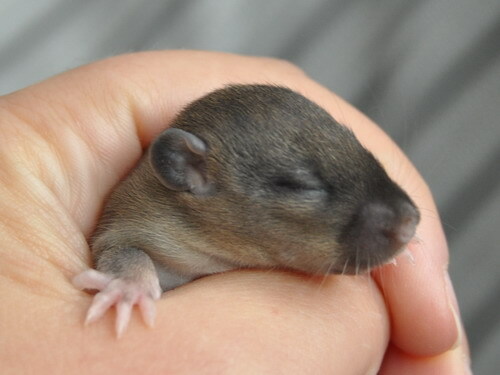 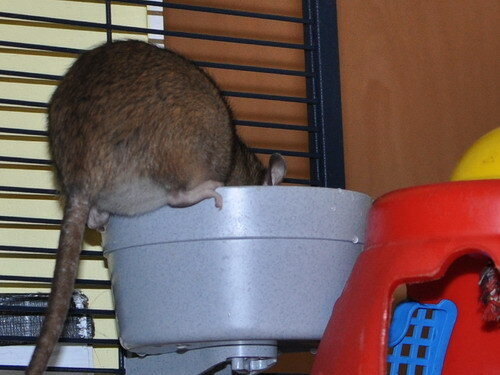 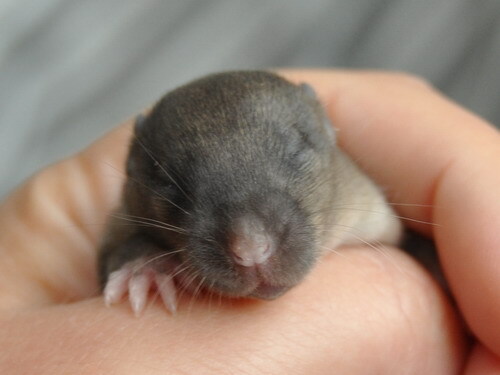 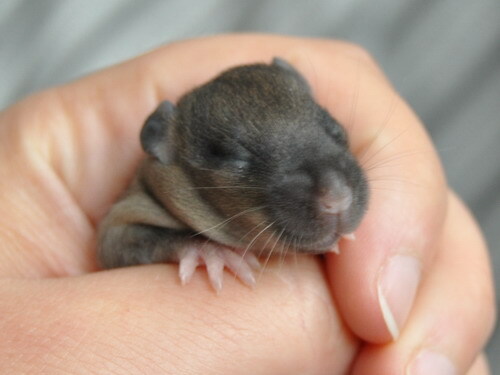 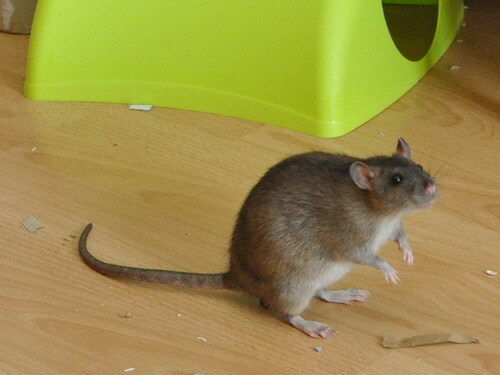 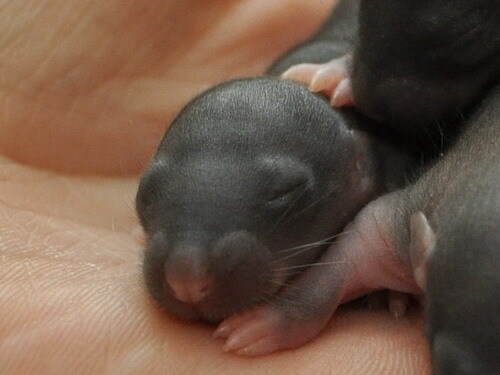 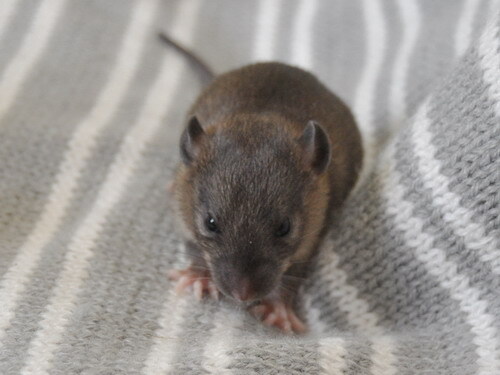 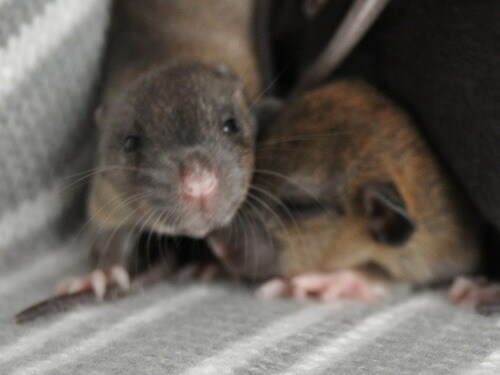 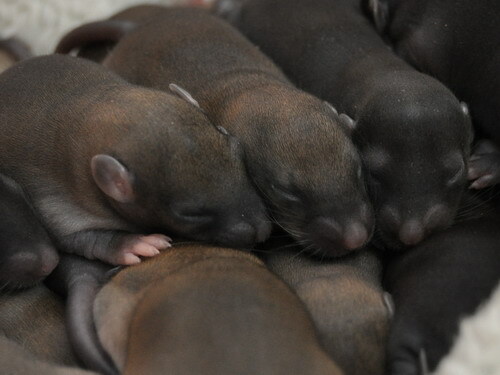 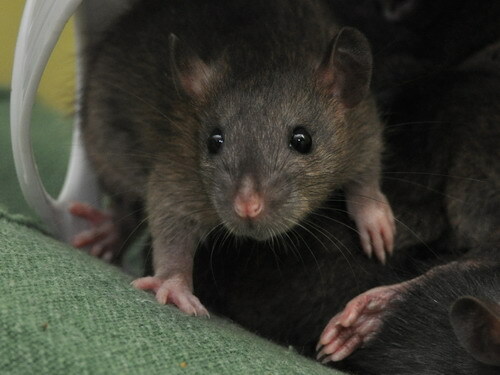 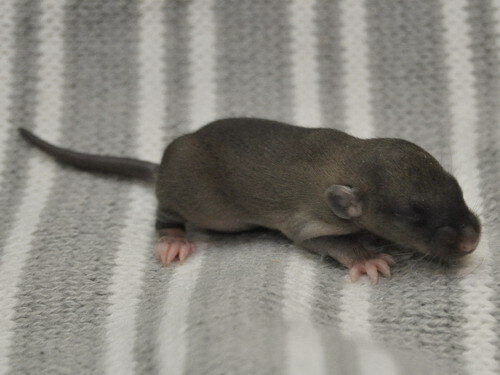 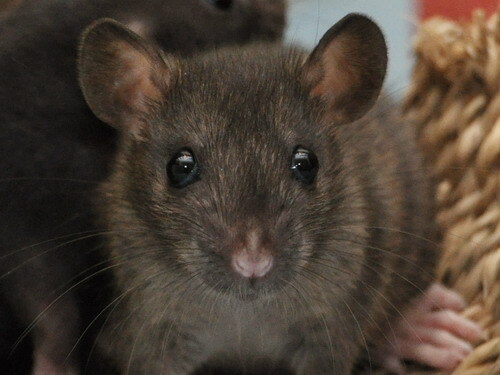 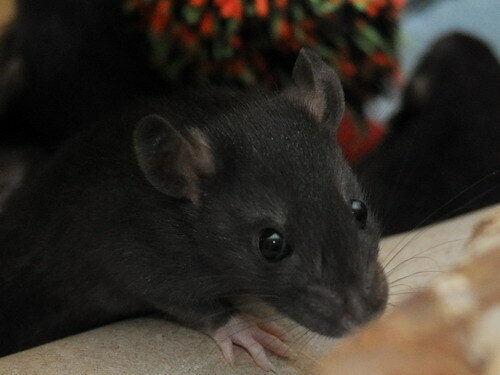 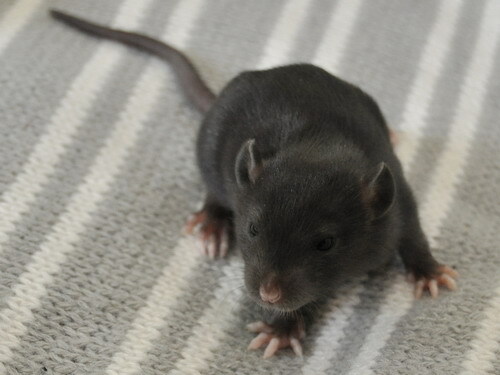 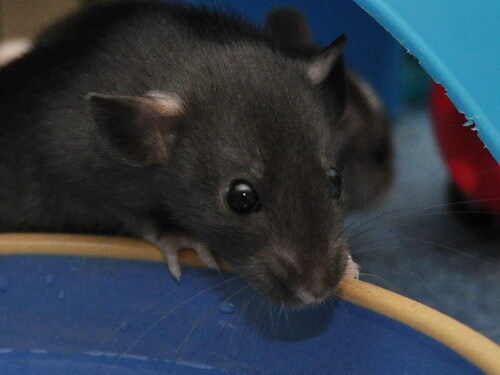 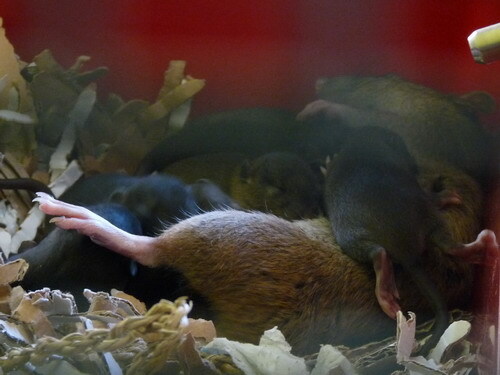 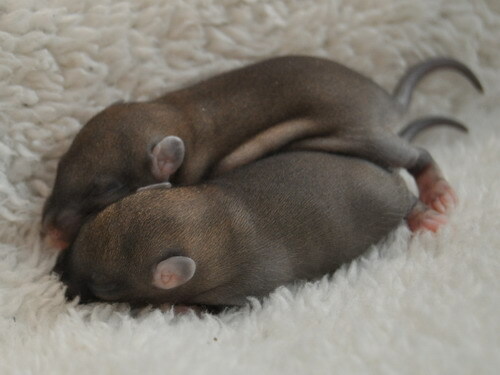 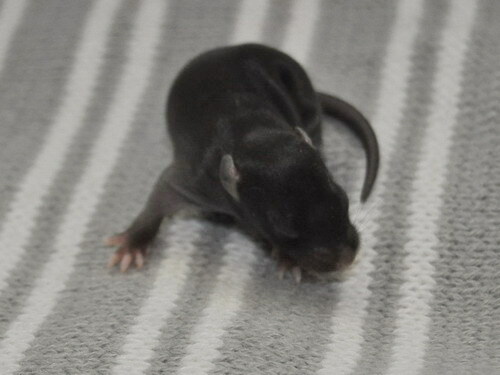 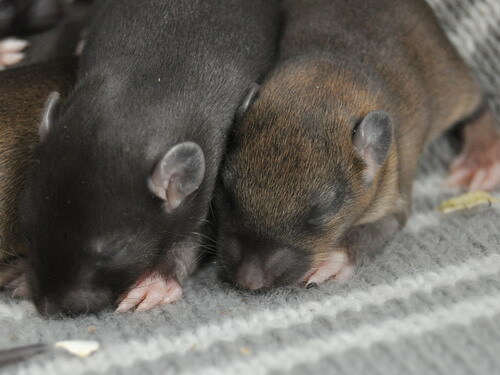 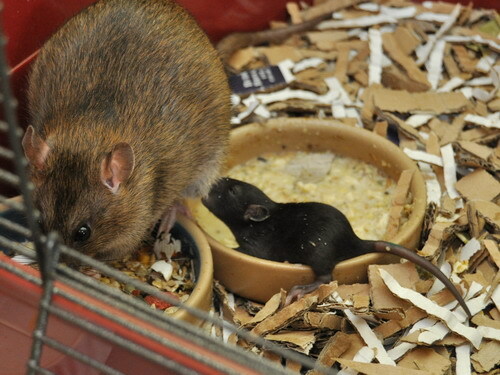 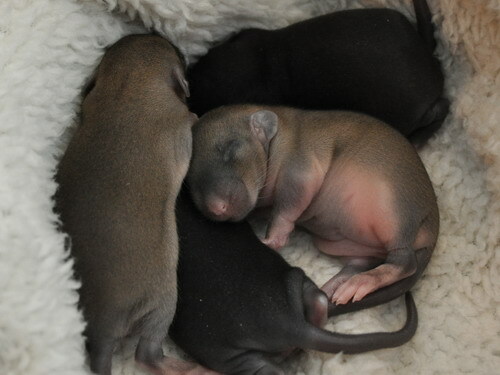 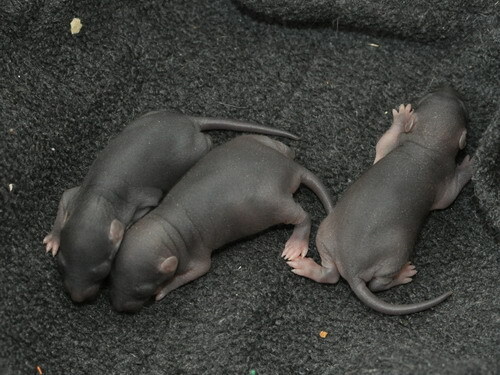 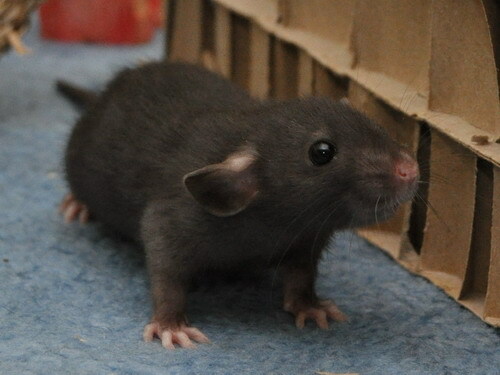 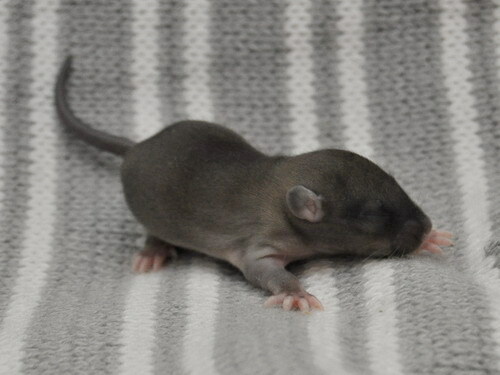 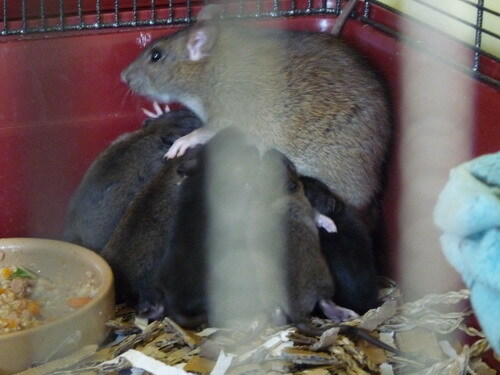 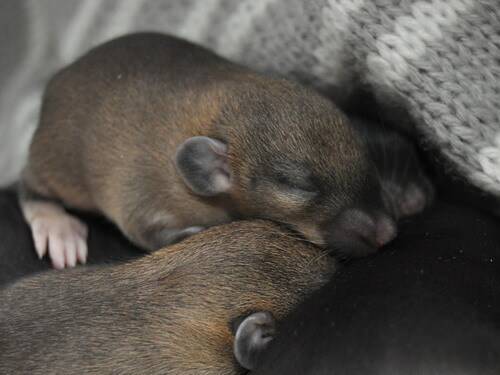 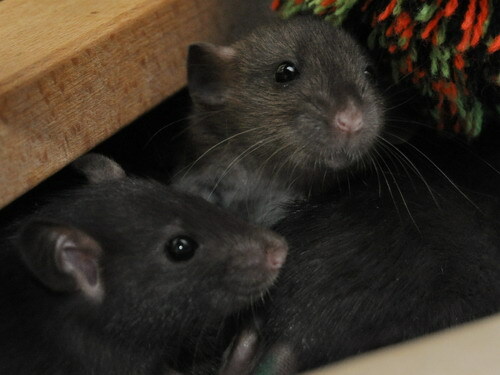 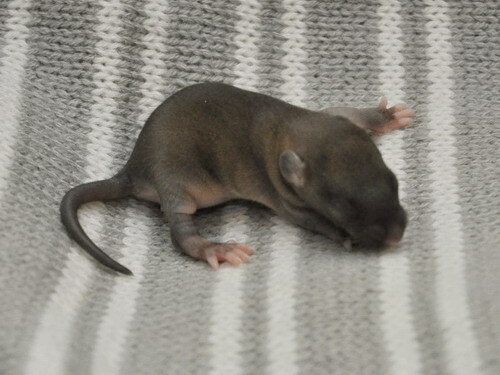 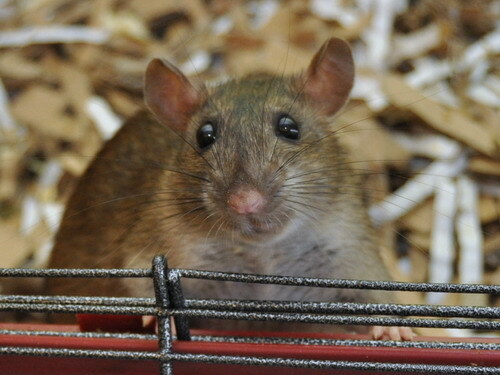 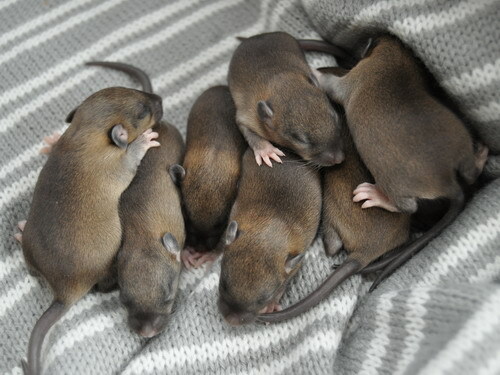 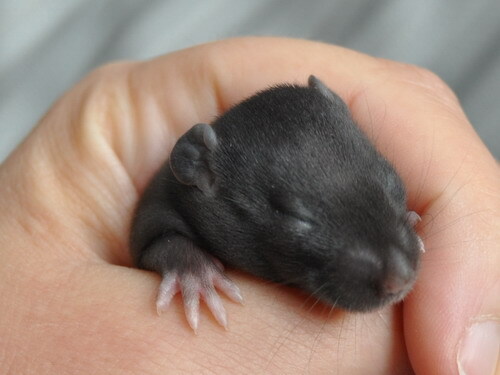 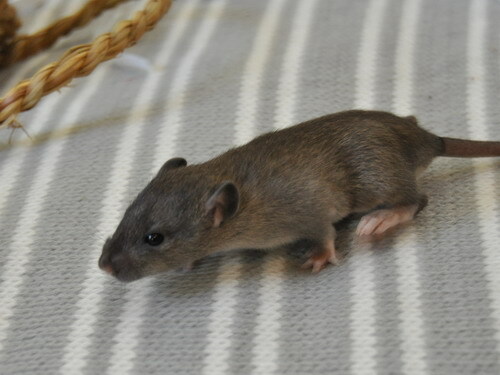 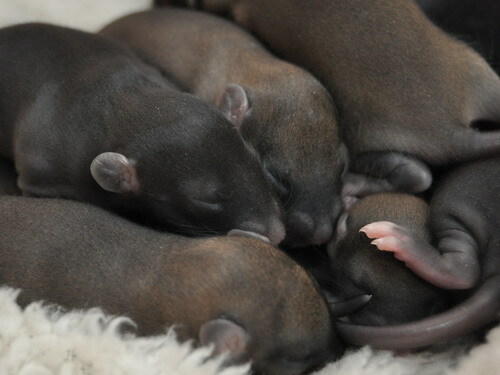 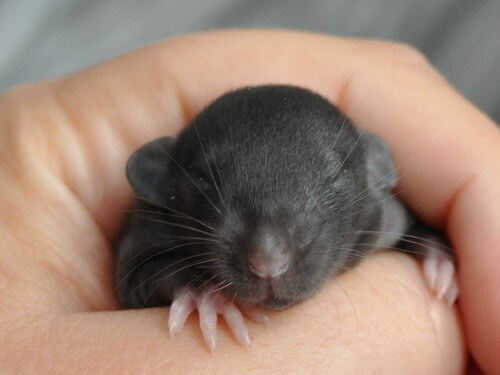 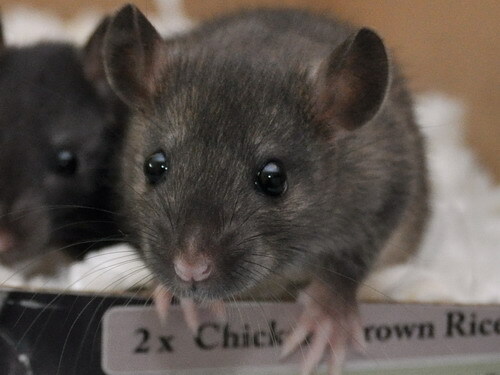 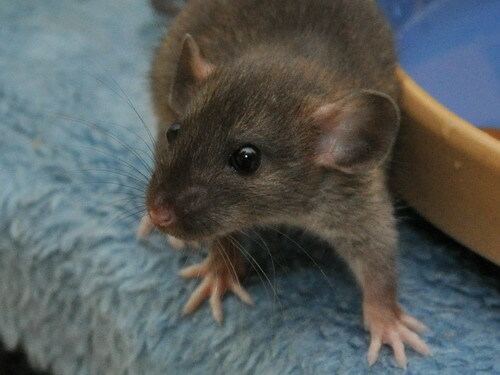 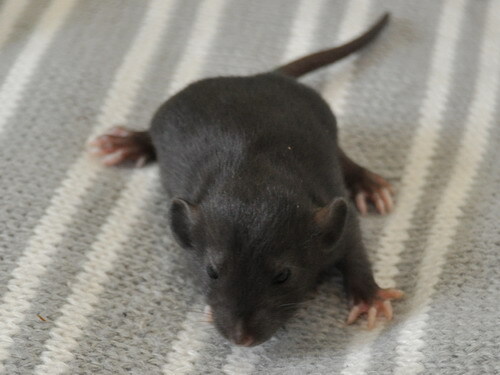 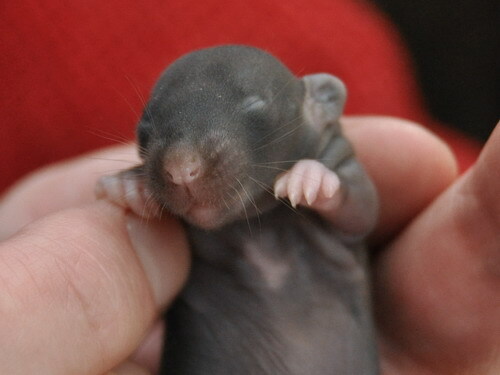 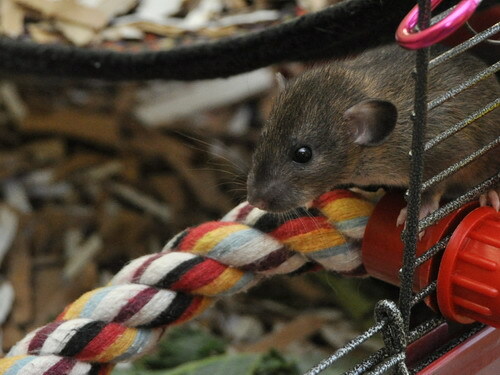 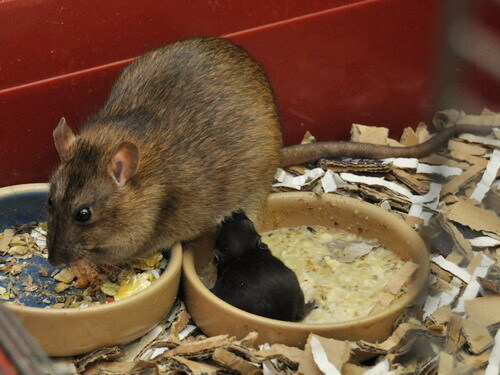 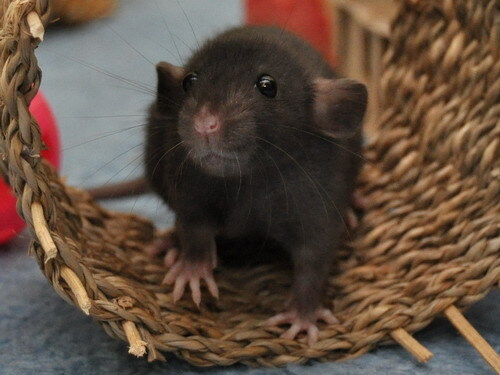 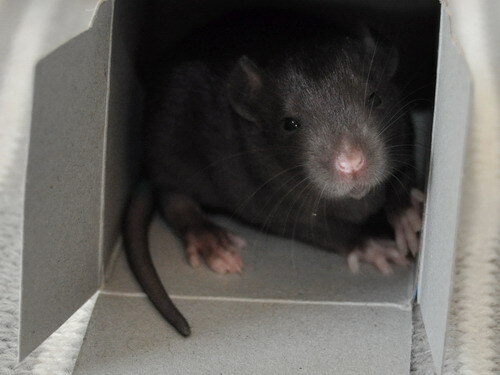 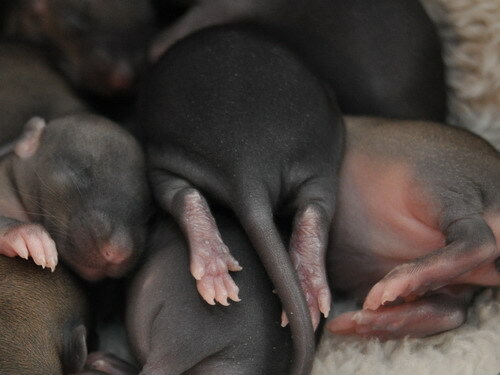 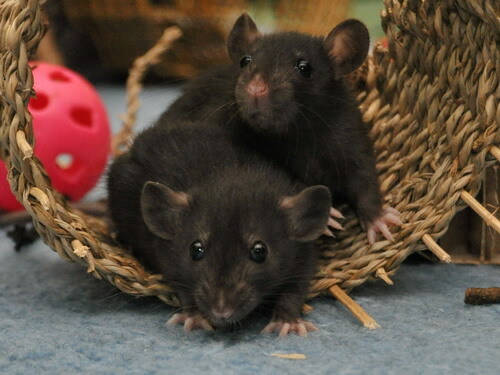 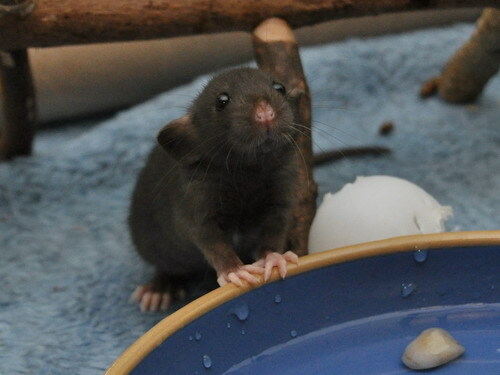 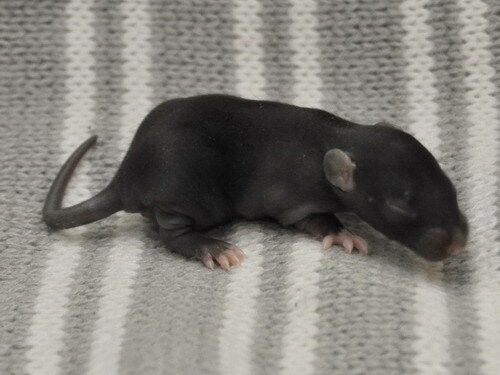 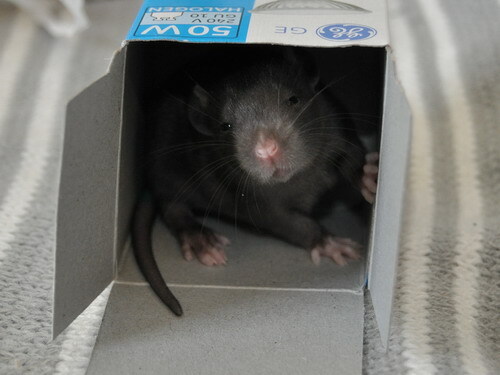 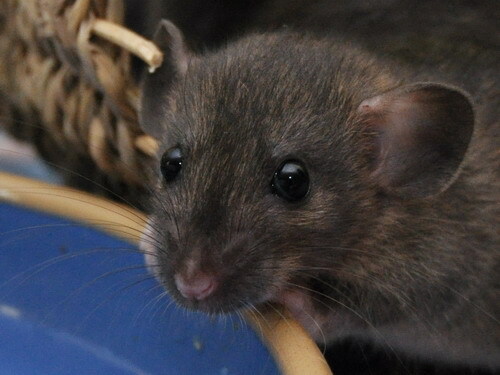 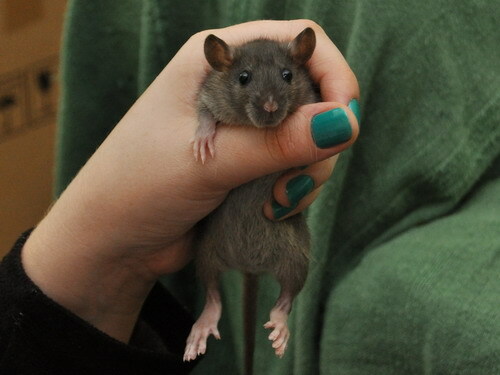 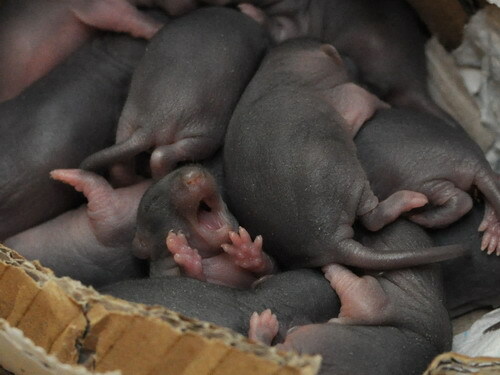 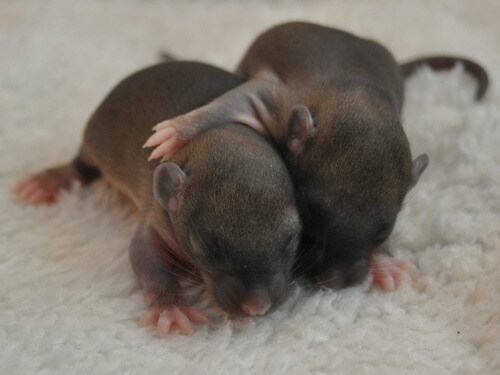 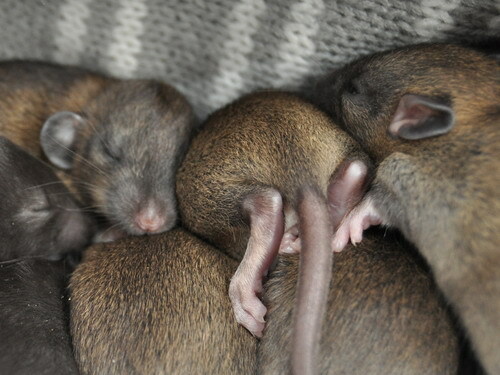 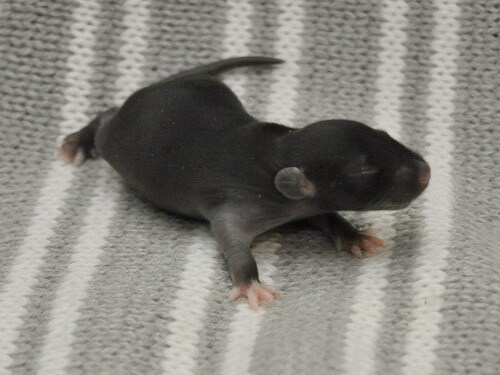 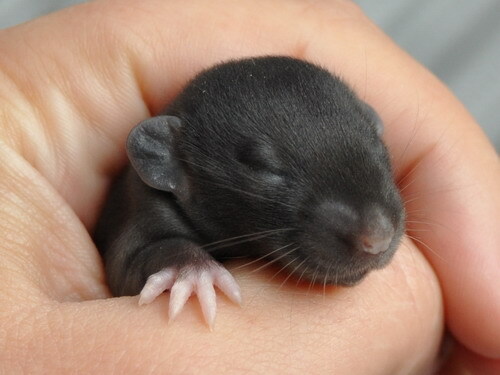 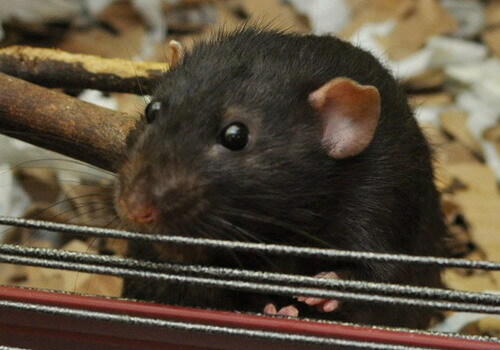 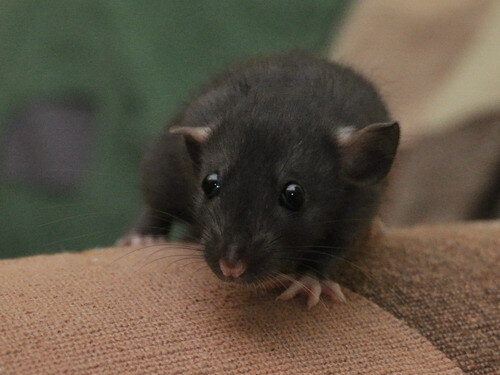 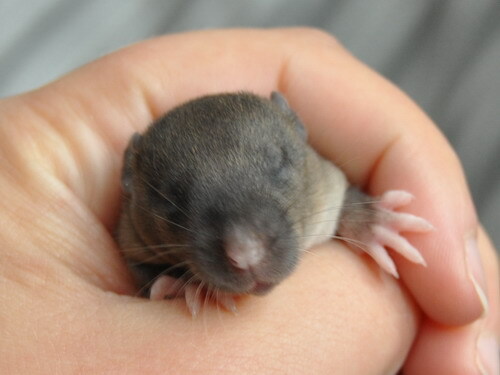 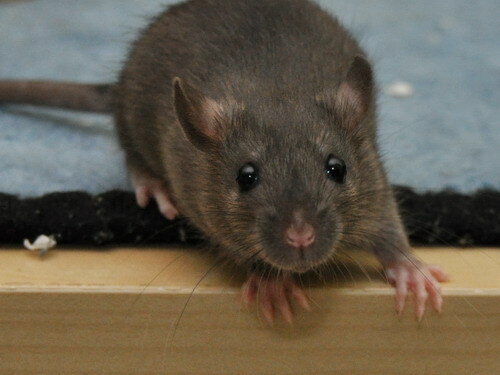 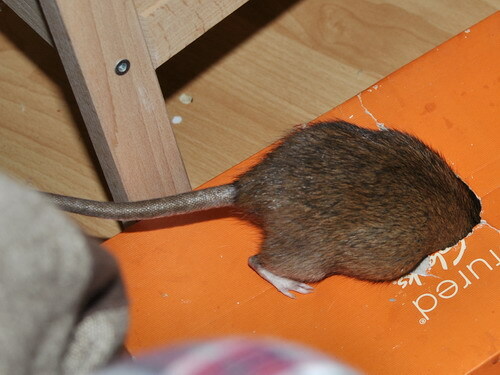 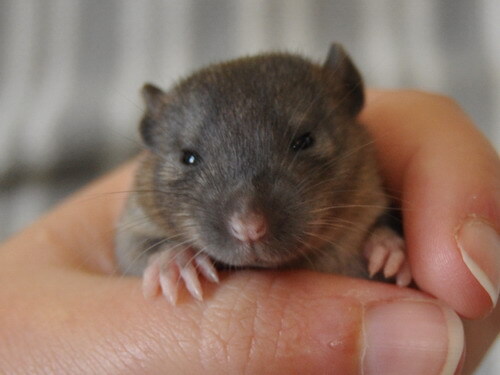 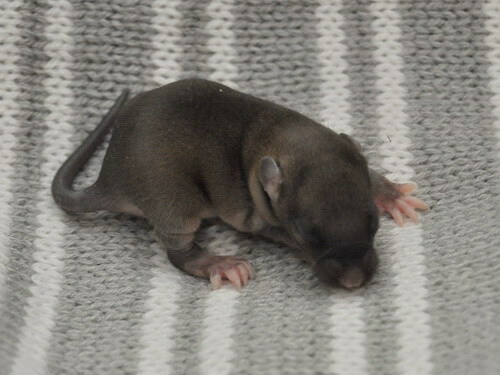 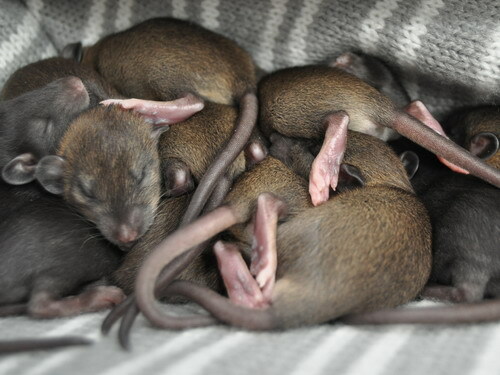 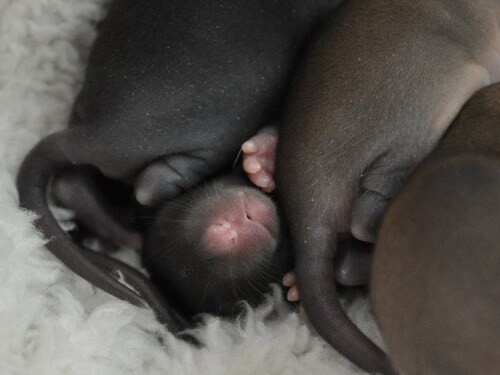 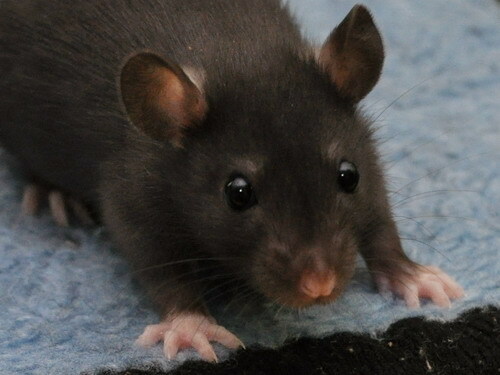 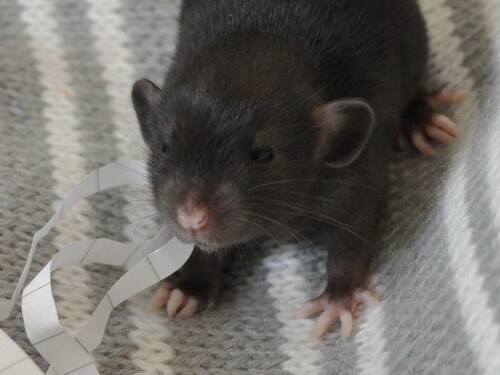 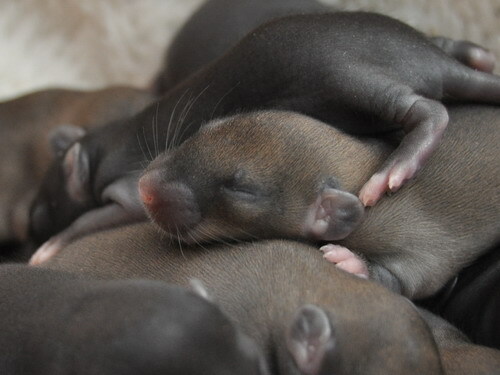 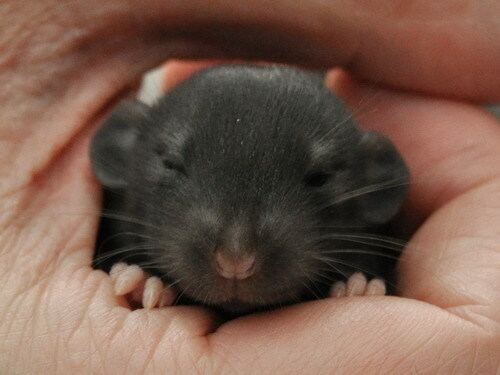 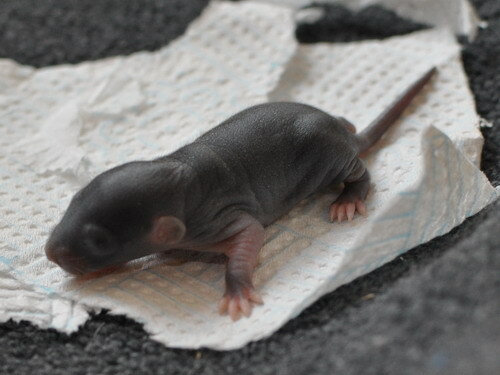 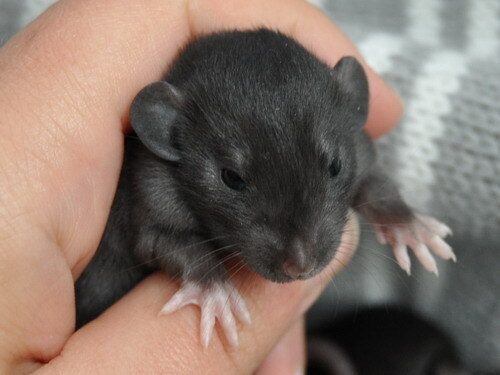 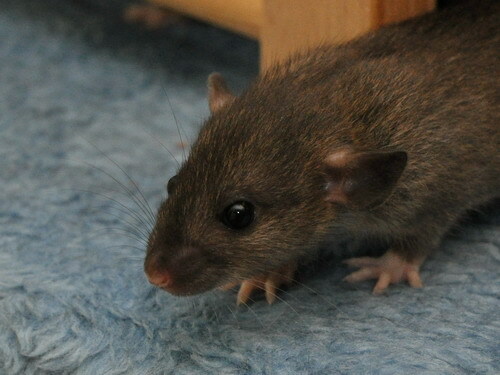 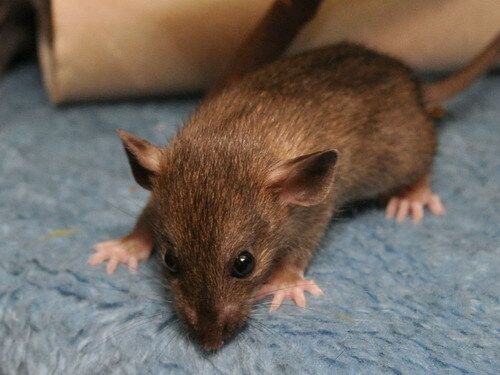 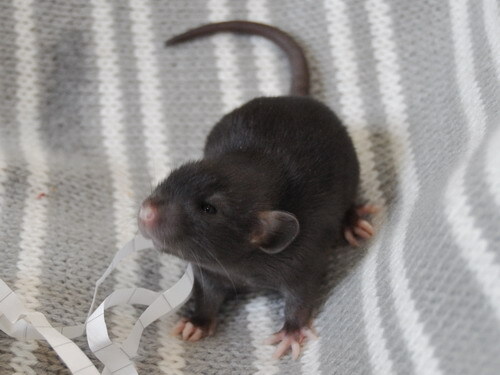 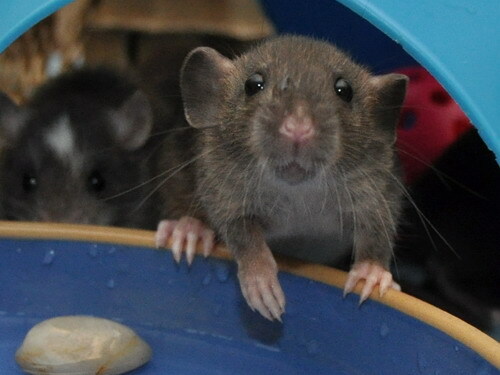 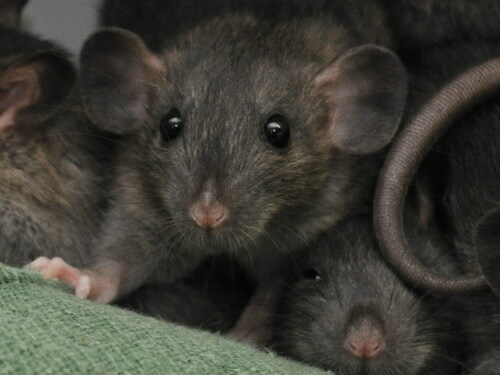 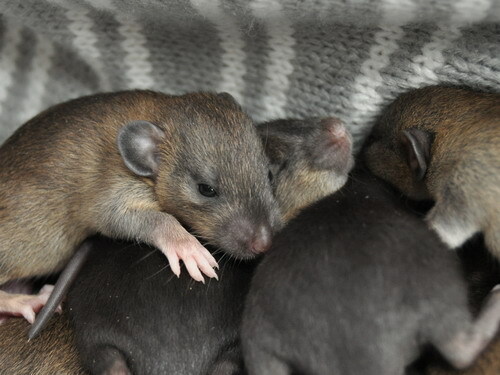 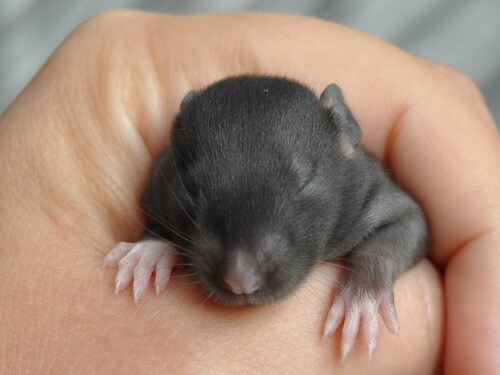 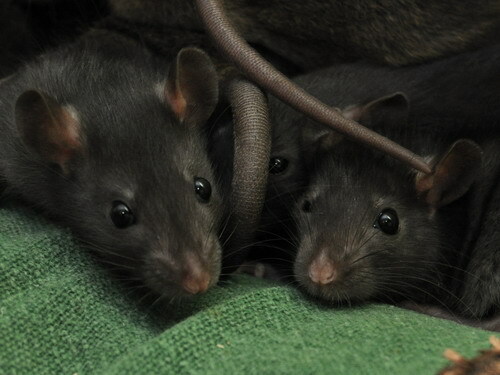 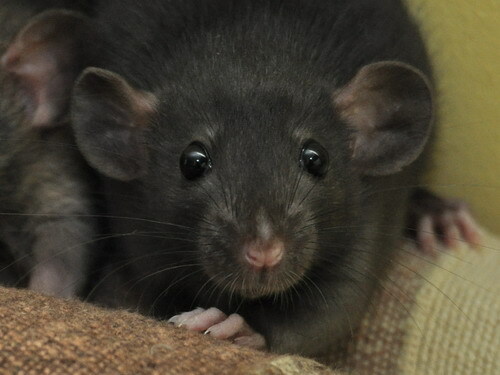 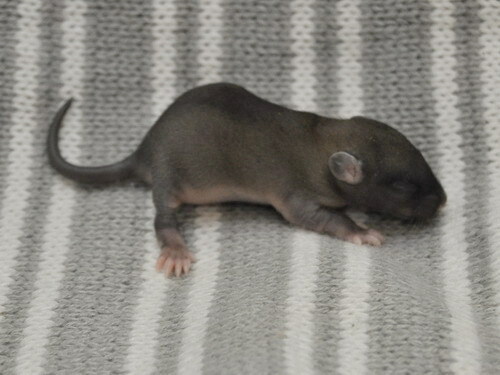 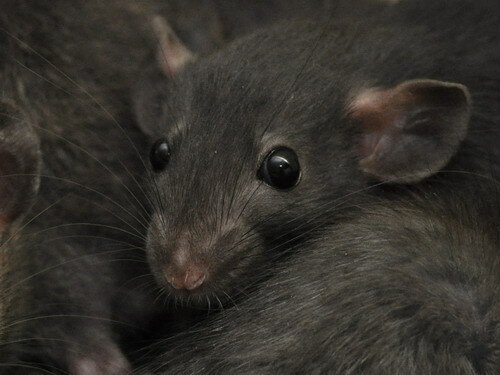 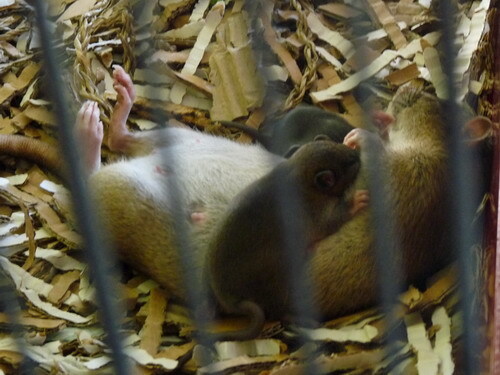 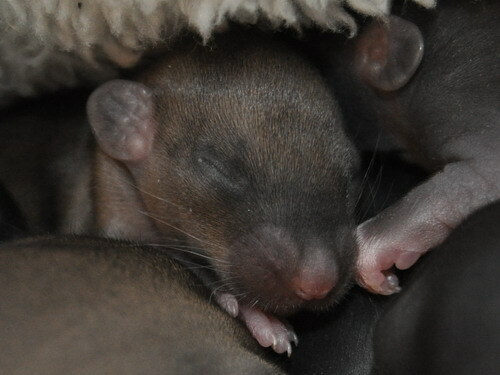 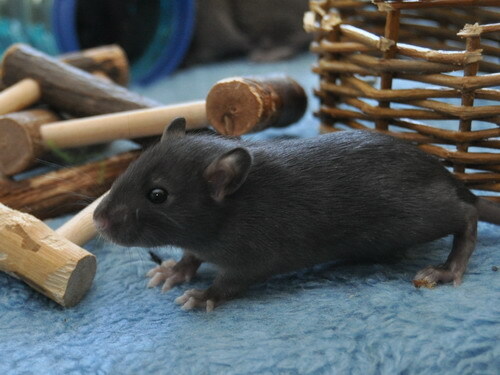 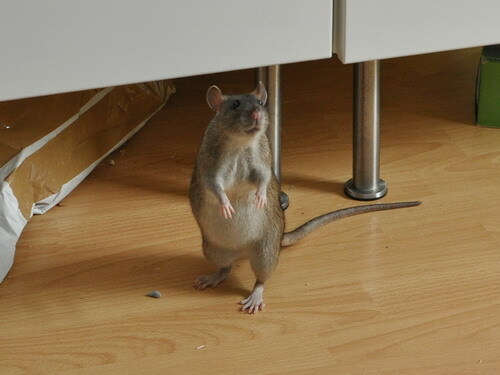 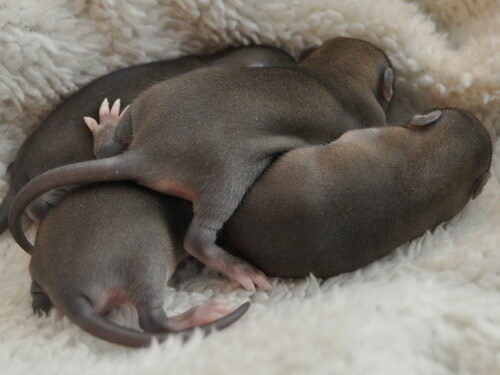 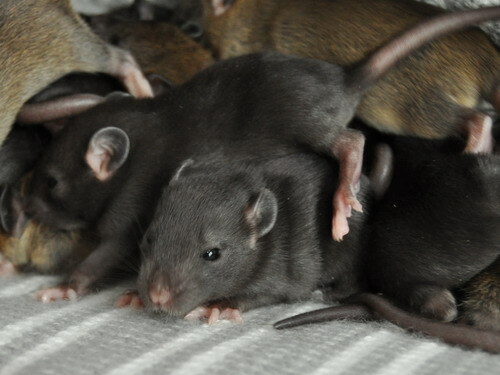 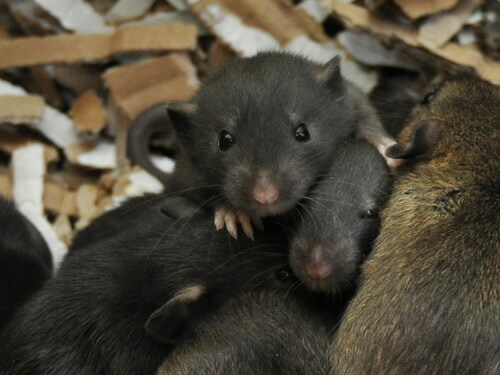 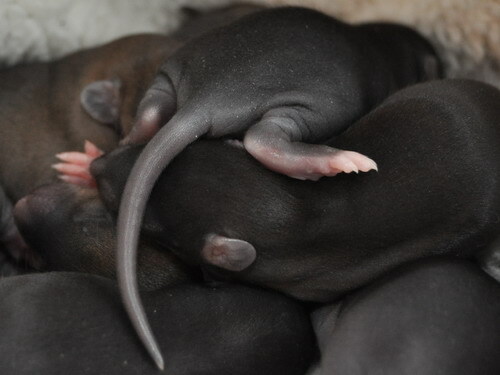 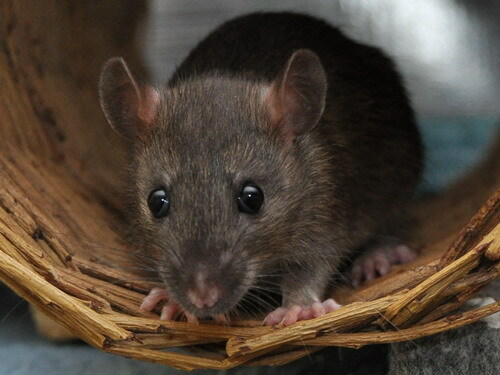 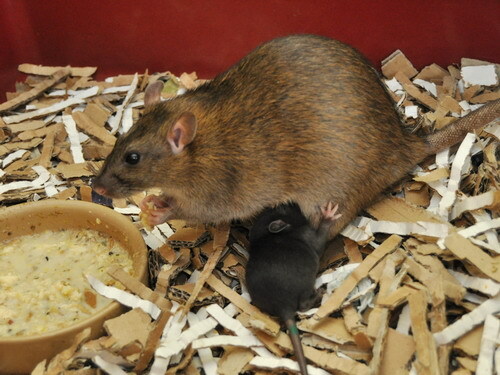 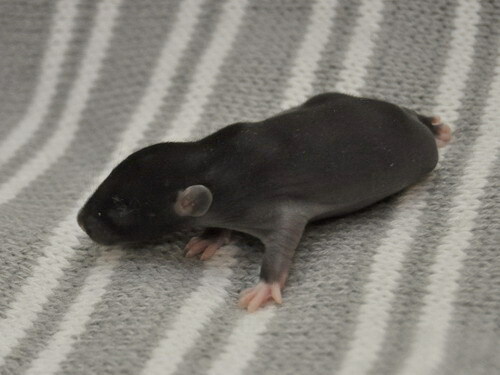 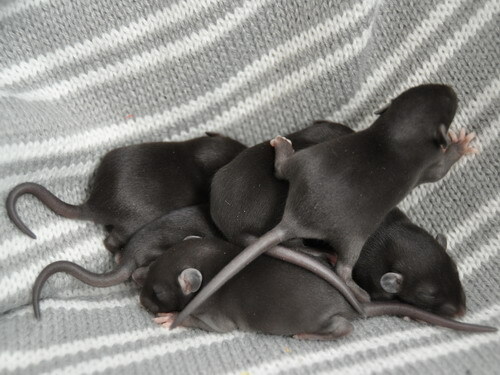 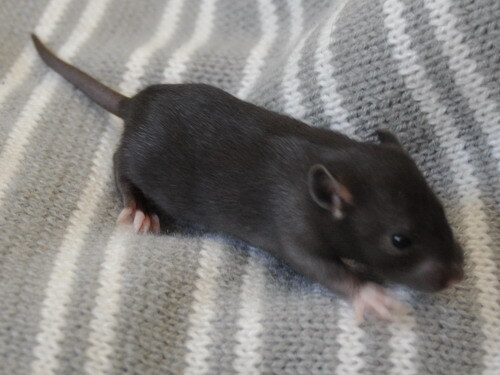 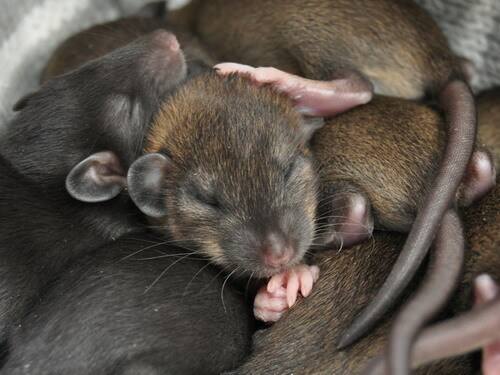 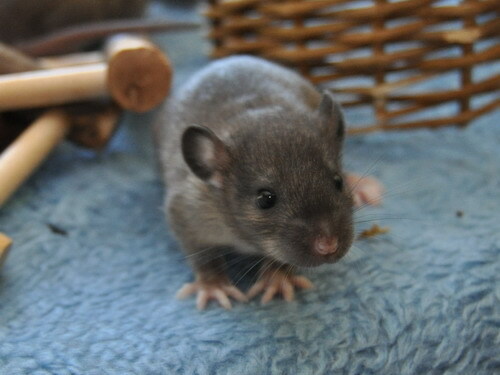 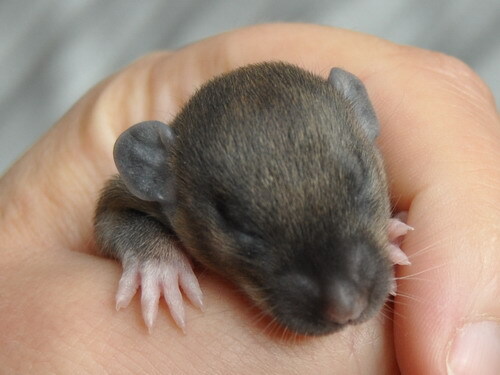 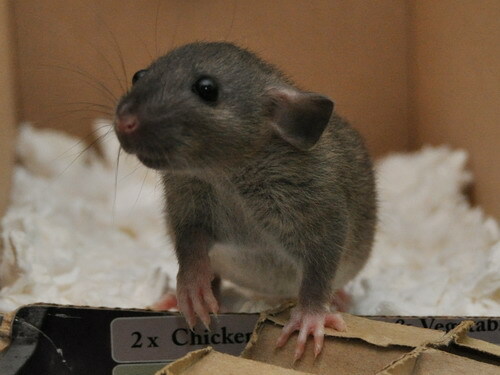 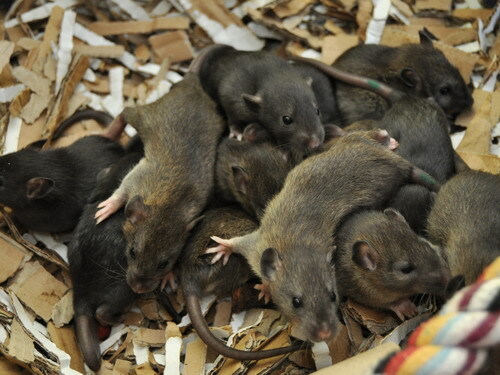 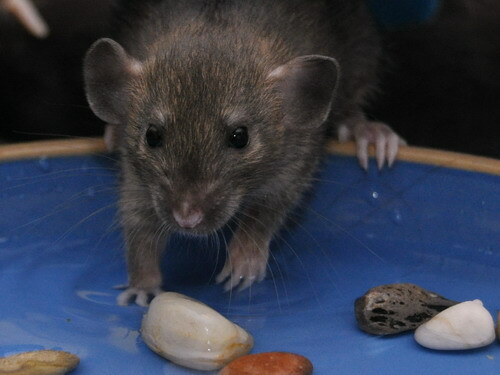 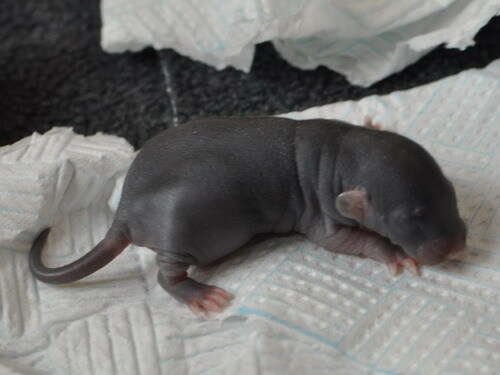 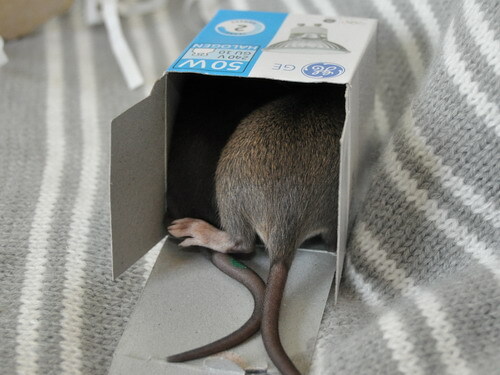 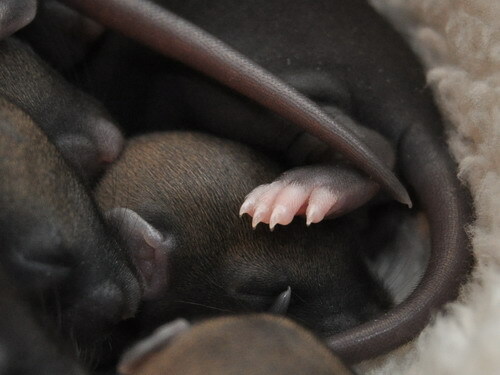 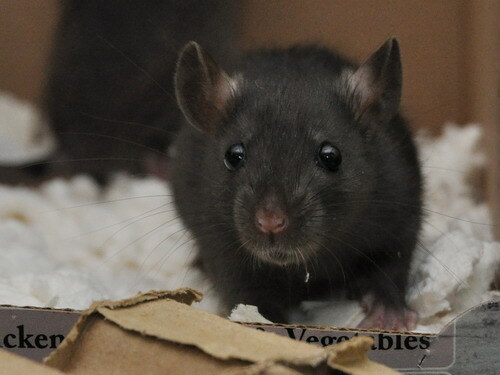 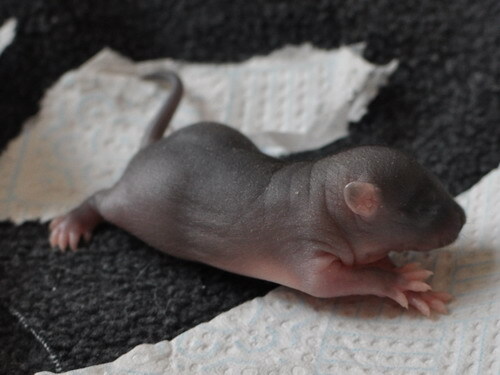 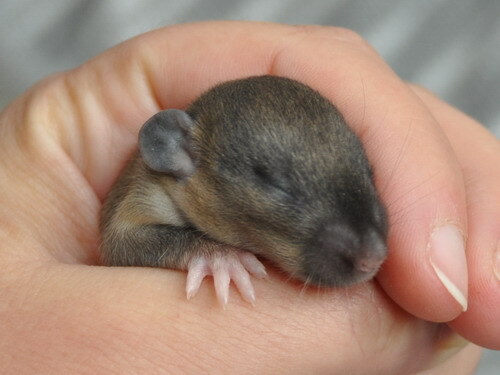 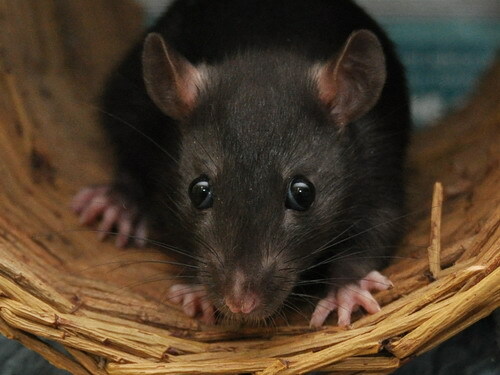 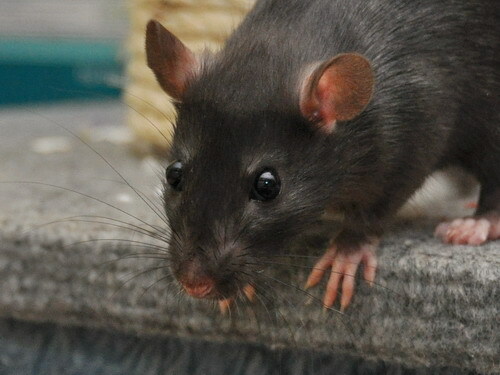 Babies are likely to be extremely full of beans and energy, people-oriented and playful, in agouti and black (with a chance of dumbo if Notch carries it). 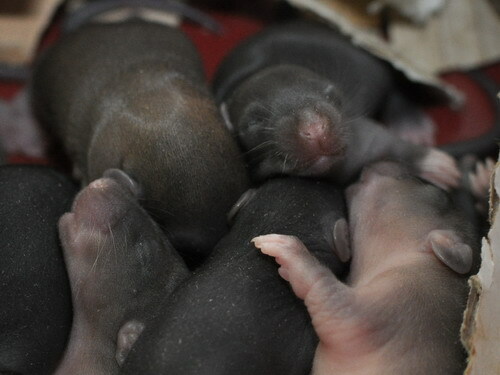 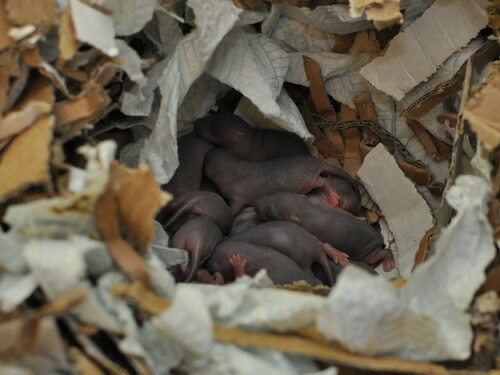 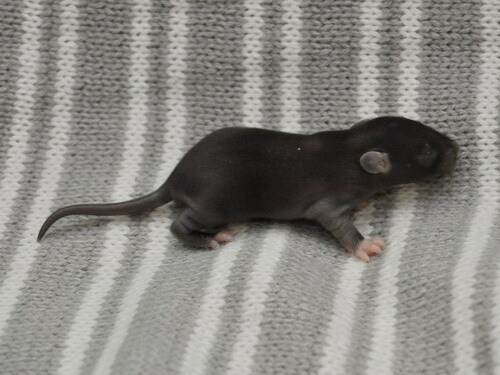 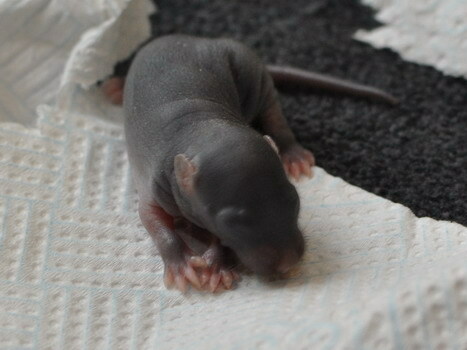 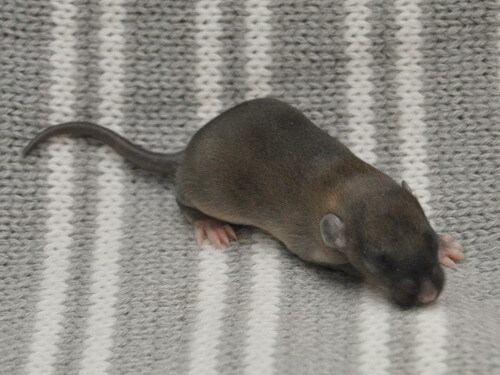 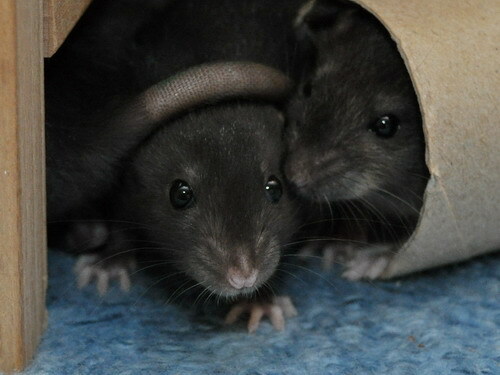 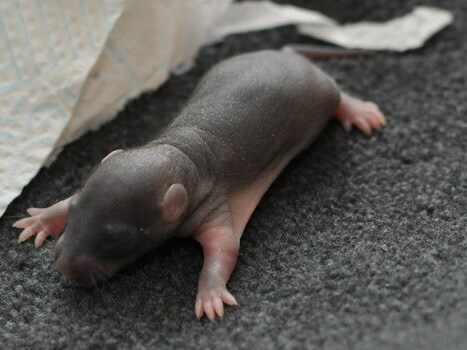 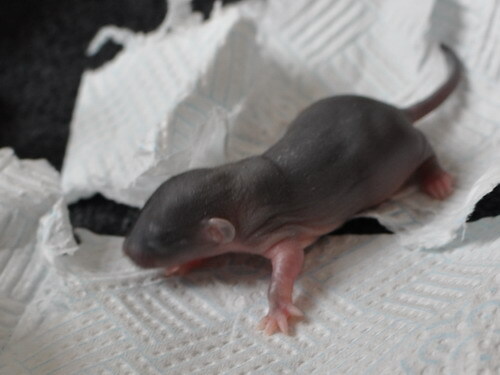 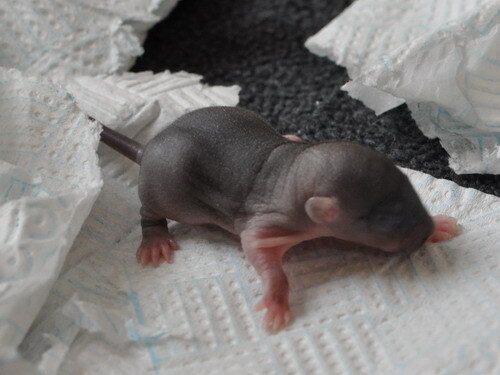 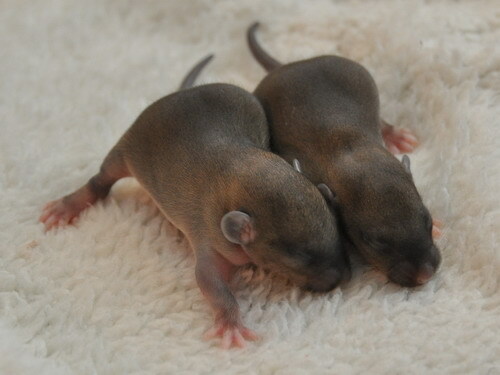 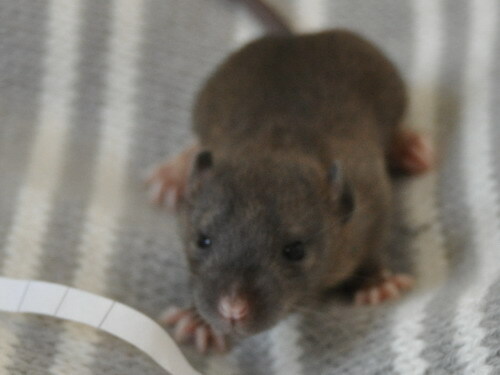 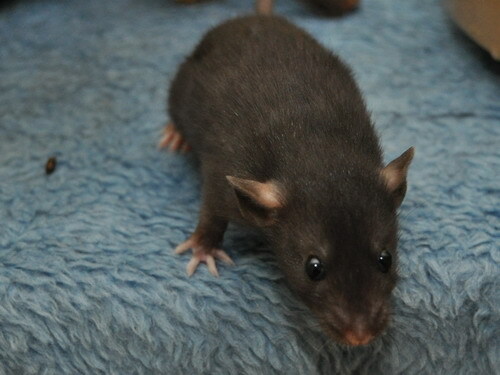 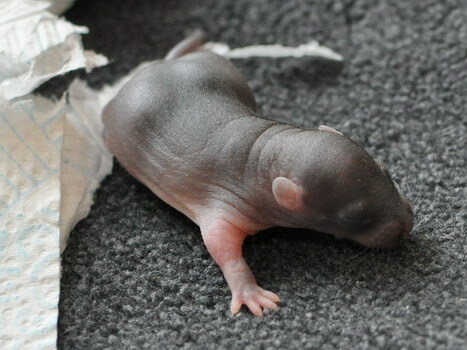 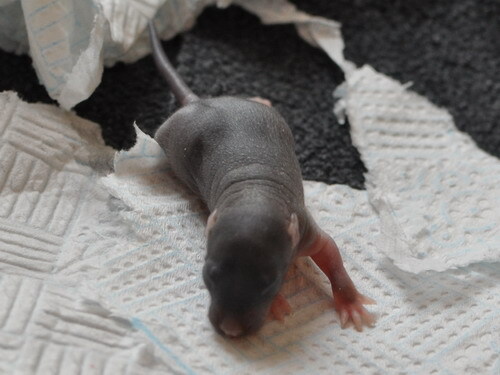 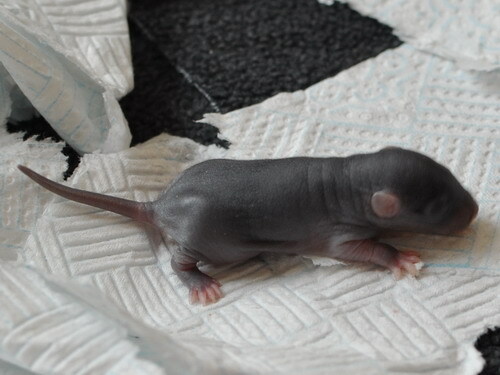 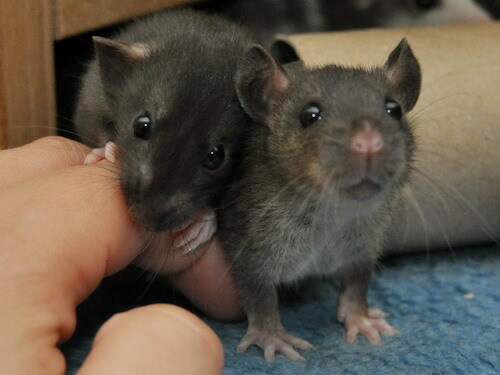 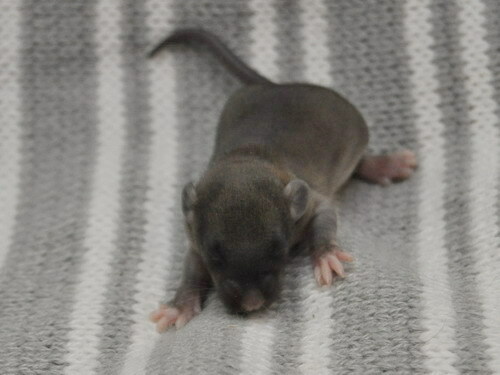 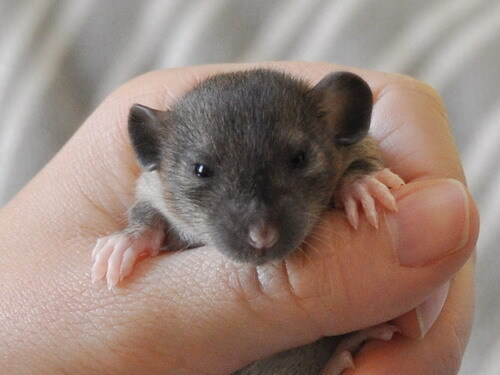 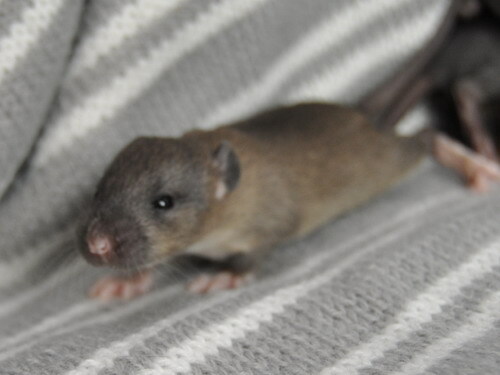 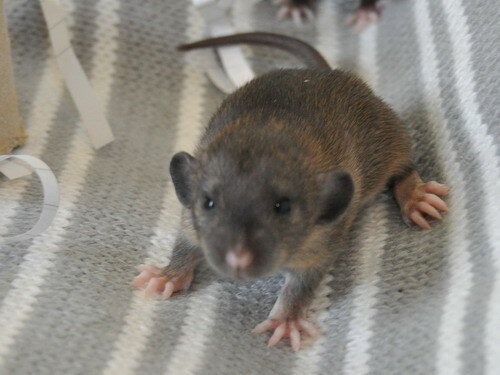 Recessive-wise, there may be mink and russian from Notch, and all babies will carry dumbo. 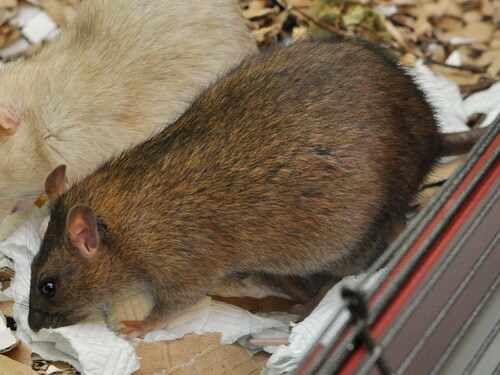 Big thanks to owner Hannah and his breeder Stacey for letting us borrow Cake again. 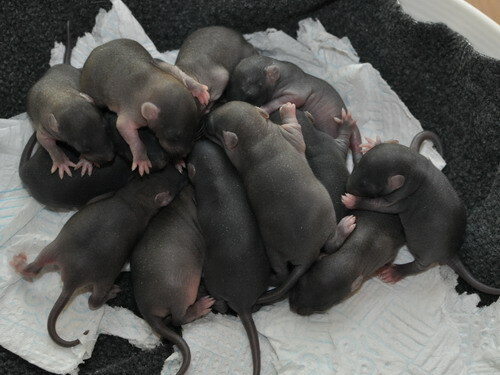 This litter will be homed jointly with the Kazigs.